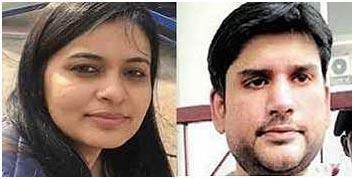 New Delhi, Apr 24 (UNI) The Delhi police on Wednesday arrested Rohit Shekhar Tiwari's wife Apoorva Shukla on charges of his murder. Rohit, son of former Uttarakhand and Uttar Pradesh Chief Minister N D Tiwari, was declared brought dead in Max hospital, Saket, around a week ago. 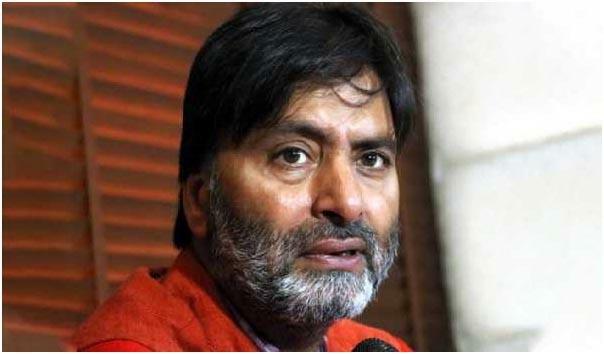 New Delhi, Apr 24 (UNI) A Delhi Court on Wednesday extended judicial custody of Jammu and Kashmir Liberation Front (JKLF) chief Yashin Malik in connection with a case related to funding of separatists and terror groups in Jammu and Kashmir. 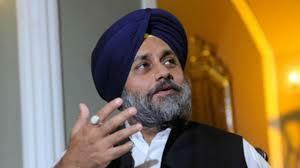 New Delhi, Apr 24 (UNI) The Supreme Court on Wednesday gave time to lawyer, Utsav Bains, to file another affidavit by tomorrow, in connection with his claim that a 'larger conspiracy' had been hatched to frame Chief Justice of India Ranjan Gogoi in a sexual harassment case. 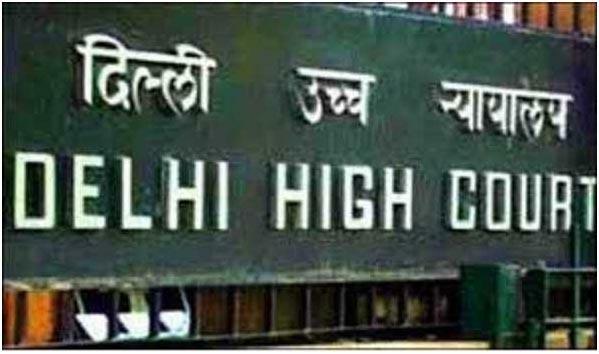 New Delhi, Apr 24 (UNI) Delhi High Court on Wednesday adjourned for May 1 hearing in a plea seeking direction from Ministry of Civil Aviation and Directorate General of Civil Aviation to ensure refund or alternate travel arrangements for passengers who had booked tickets with Jet Airways, which suspended its operations last week. 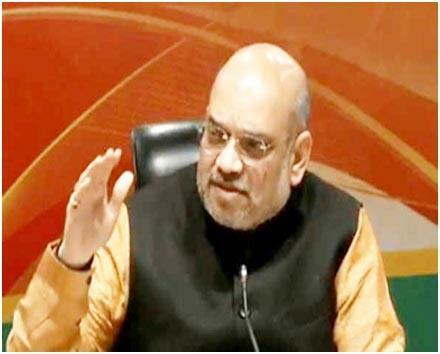 Munger/Begusarai/Ujiyarpur (Bihar), Apr 24: BJP president Amit Shah on Wednesday tore into the Rahul Gandhi-led Congress and its allies accusing them of being soft on terror and of tacitly approving Kashmirs secession from India. 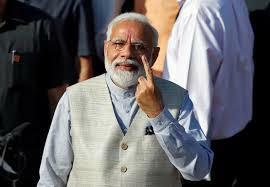 New Delhi, Apr 24: Author and columnist Twinkle Khanna on Wednesday took Prime Minister Narendra Modi's comments about her criticism of him on social media in "positive" stride, saying she was glad he was not only aware about her existence but also her work. 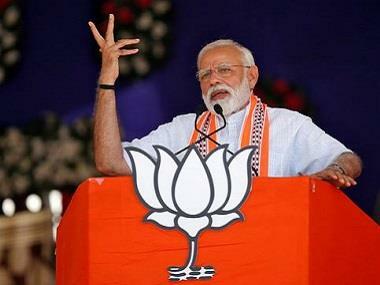 Modi talked about Khanna's critique of his policies on Twitter in an interview with her husband, actor Akshay Kumar. 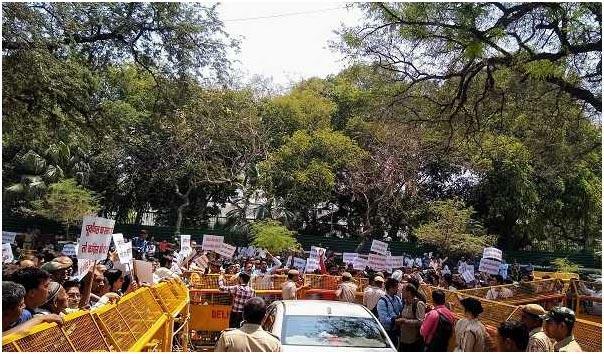 New Delhi, Apr 24: The Supreme Court Wednesday said it will go to the root of the alleged conspiracy and sensational claims made by a lawyer that there was a larger conspiracy to frame Chief Justice of India Ranjan Gogoi in the sexual harassment allegations against him. 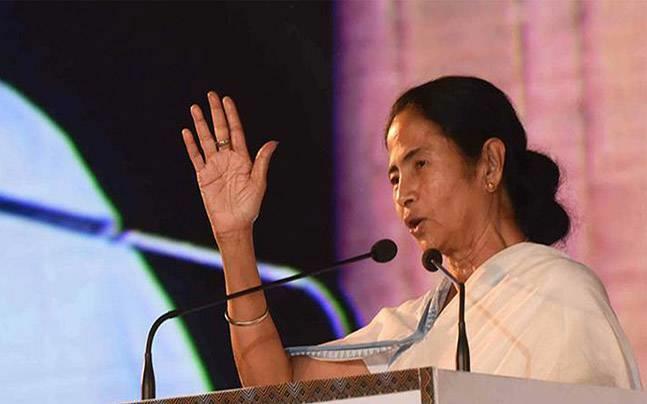 Serampore (WB), Apr 24: West Bengal Chief Minister Mamata Banerjee Wednesday accused Prime Minister Narendra Modi of converting huge black money into white through demonitisation and spending it to purchase votes. 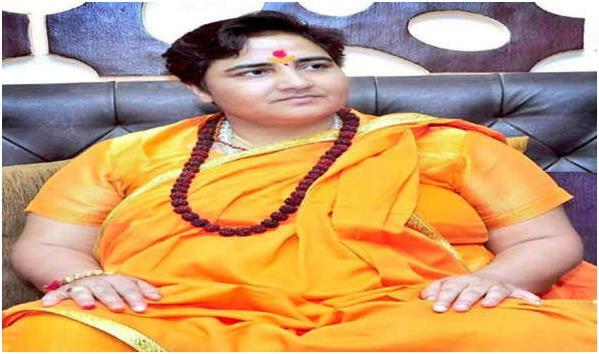 She alleged that the saffron party is importing guns and goons to ensure votes in its favour and said that such a situation will not be allowed to develop in Bengal. 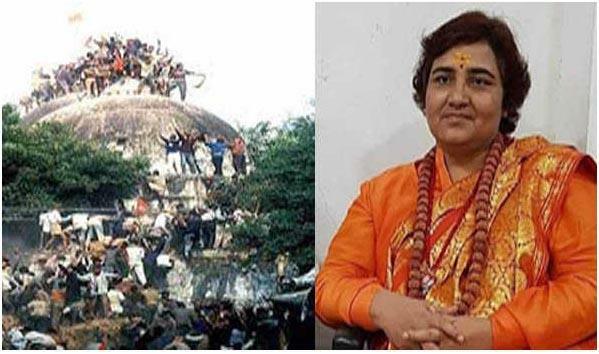 Colombo, Apr 24: Sri Lanka Deputy Defence Minister told media on Wednesday that out of the nine suicide bombers, who carried out massive blasts across country on Easter, one was woman. 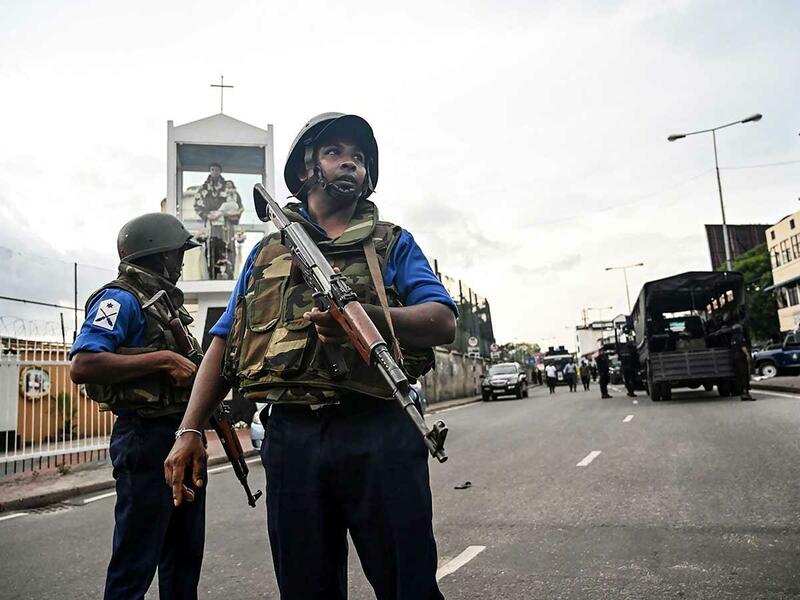 Ruwan Wijewardene's comment came after police confirmed that nine suicide bombers were involved in the blasts and eight have been identified. 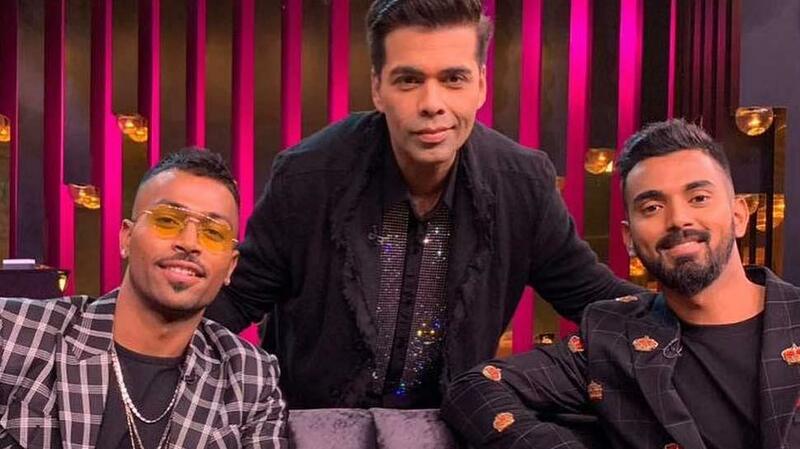 April 24: Bollywood actor Akshay Kumar on Wednesday had a non-political chat with Prime Minister Narendra Modi. From asking him about his childhood life to why he sleeps for only 3.5 hours to his friendship with Opposition leaders, Akshay had a heart-to-heart conversation with PM Modi. Sachin Tendulkar, the greatest batsman in the history of the game, turns 46 today. He made his debut as a 16-year-old against Pakistan, who boasted of a feared pace attack. Despite a bloodied nose and a few failures, the little boy from Dadar scaled new peaks and became the greatest batsman since the days of Don Bradman. Sachin Tendulkar celebrates his 46th birthday today. The god of cricket was born on this day in 1973. 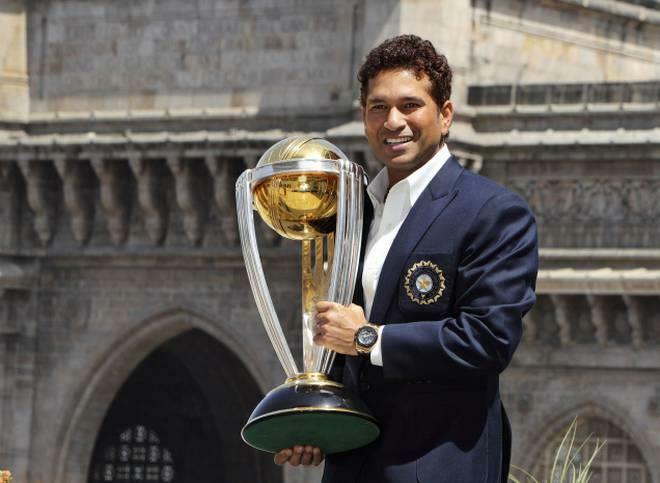 APRIL 24: Happy Birthday, Sachin Tendulkar! 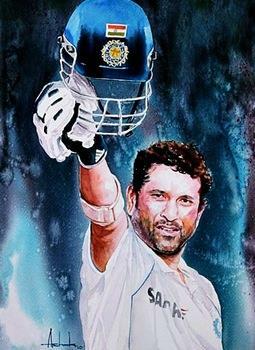 Master blaster Sachin Tendulkar turns 46 today. The Little Master, whose full name is Sachin Ramesh Tendulkar, was born on this day in 1973 in a Maharashtrian family in Dadar, Mumbai. Sachin's father Ramesh Tendulkar, who was a renowned Marathi novelist, decided to name his after the legendary musician Sachin Dev Burman, was a big fan of. 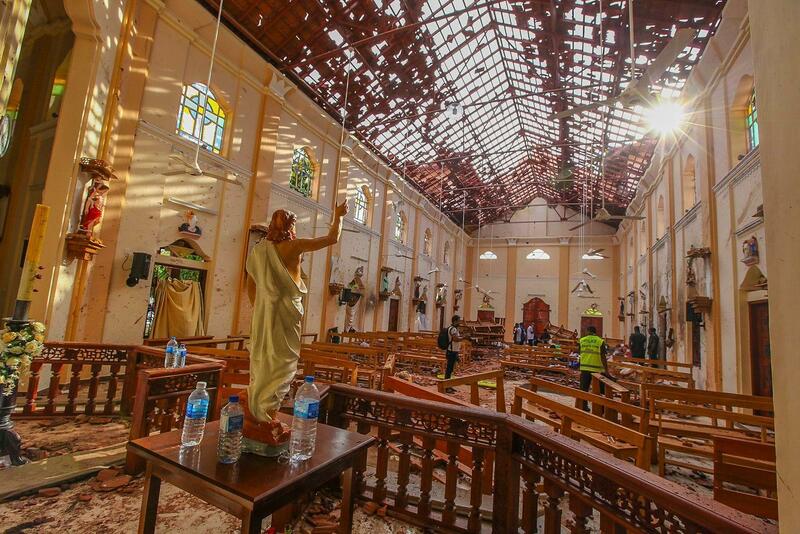 COLOMBO: The Islamic State Tuesday claimed responsibility for the devastating Easter blasts in Sri Lanka and identified the seven suicide bombers who were involved in the attacks that killed 321 people and wounded more than 500 others. 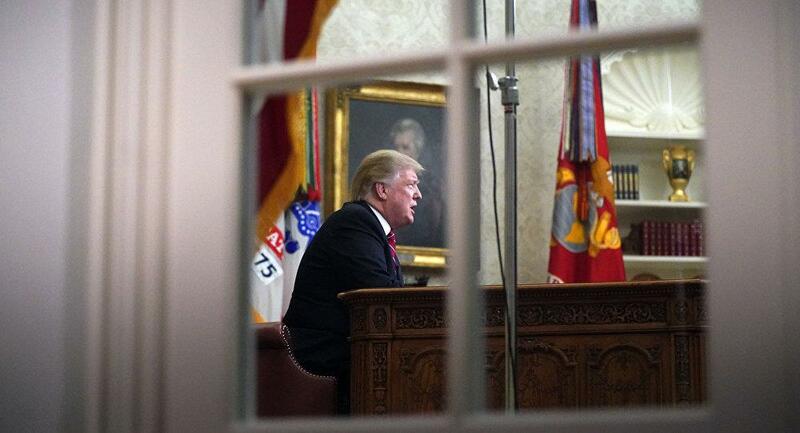 Washington, Apr 24: Hours after accusing Twitter of 'discriminatory' behavior toward conservative users, US President Donald Trump met with Twitter CEO Jack Dorsey to discuss social media. 'Great meeting this afternoon at the White House with Jack from Twitter. Xi'an, Apr 23: World No 1 Bajrang Punia won India's first gold medal in the men’s 65 kg category, while Praveen Rana settled for silver medal in Xi’an, China at the Asian Wrestling Championships 2019 on Tuesday. Bajrang defeated Sayatbek Okassov of Kazakhstan 12-7 to bag the medal. MANILA — The Philippines was hit by a powerful earthquake on Tuesday afternoon, a day after a deadly tremor hit the north of the country. The earthquake on Tuesday registered a magnitude of 6.4 and was centered in Samar, an island in the central eastern part of the country, the United States Geological Survey said. 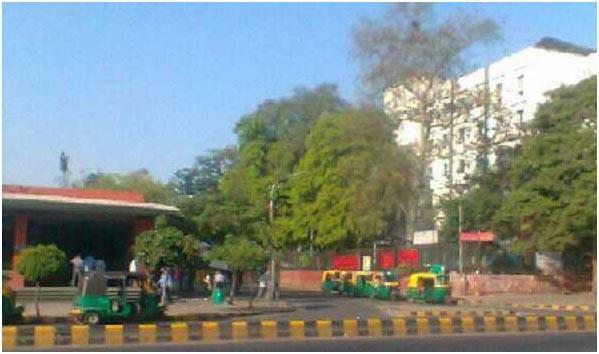 New Delhi, Apr 23 (UNI) Delhiites on Tuesday woke up to a warm morning, with minimum temperature settling at 22 degrees Celsius, a notch below the normal. The relative humidity till 0830 hrs was pegged at 59 per cent. According to the MeT Department, there will be mainly clear sky becoming partly cloudy towards afternoon or evening. 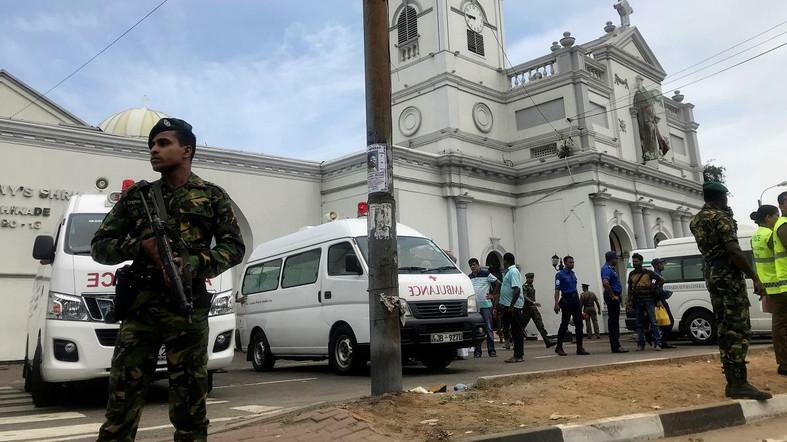 Colombo, Apr 23 (UNI) As a state of emergency took effect Tuesday giving the Sri Lankan military war-time powers, police arrested 40 suspects, including the driver of a van allegedly used by the suicide bombers and the owner of a house where some of them lived. 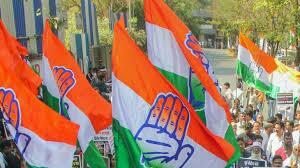 New Delhi, Apr 23 (UNI) While stating that the “Chowkidar Chor Hai” is a political campaign which has been going on for the last one and half years and will continue in future as well, the Congress on Tuesday said that the party leaders have never said that the Supreme Court endorses this campaign. 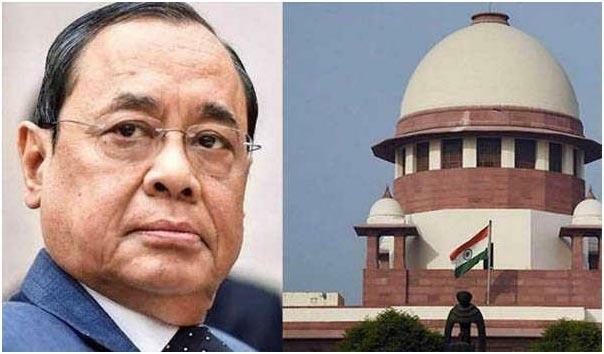 New Delhi, Apr 23 (UNI) The Supreme Court on Tuesday issued notice to lawyer Utsav Bains, who claimed that there is a larger conspiracy involved to malign Chief Justice of India Ranjan Gogoi, by way of asking him to offer bribe. 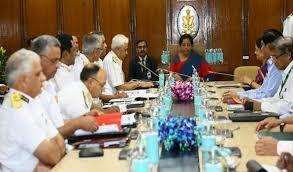 New Delhi, Apr 23 (UNI) The first edition of Naval Commanders’ Conference got underway on Tuesday with Defence Minister Nirmala Sitharaman addressing the top echelons of Indian Navy. The conference is the apex forum within the Service for interaction between the Naval Commanders, an Indian Navy spokesperson said. 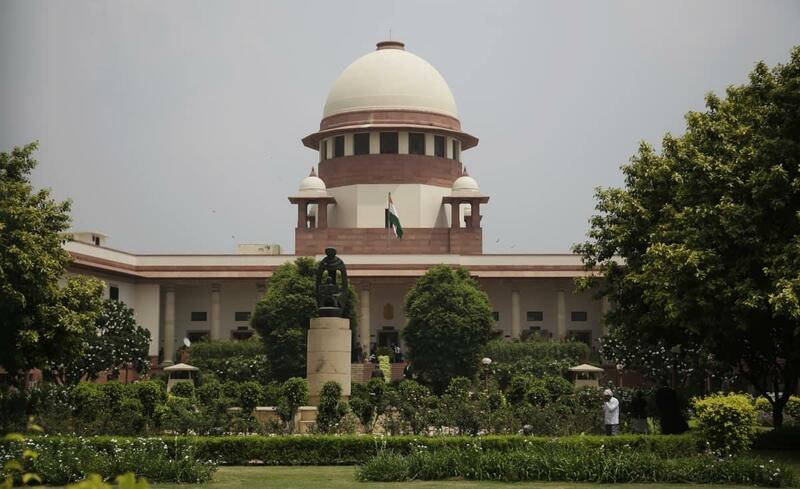 New Delhi, Apr 23 (UNI) Supreme Court on Tuesday in its interim directions asked the Gujarat government to pay a compensation of Rs 50 lakh to Bilkis Yakub Rasool, (also known as Bilkis Bano), who was gang-raped in 2002 during the post-Godhra riots. A bench of the Top Court, headed by Chief Justice Ranjan Gogoi, asked the Gujarat Government to pay a compensation of Rs 50 lakh to Bilkis Bano. New Delhi, Apr 23: India's Bajrang Punia and Praveen Rana entered into the finals of their respective weight categories in the Asian Wrestling Championships here on Tuesday. Commonwealth, Gold medalist and silver winner of world championship Bajrang had a smooth victory in all 65 kg freestyle category final. 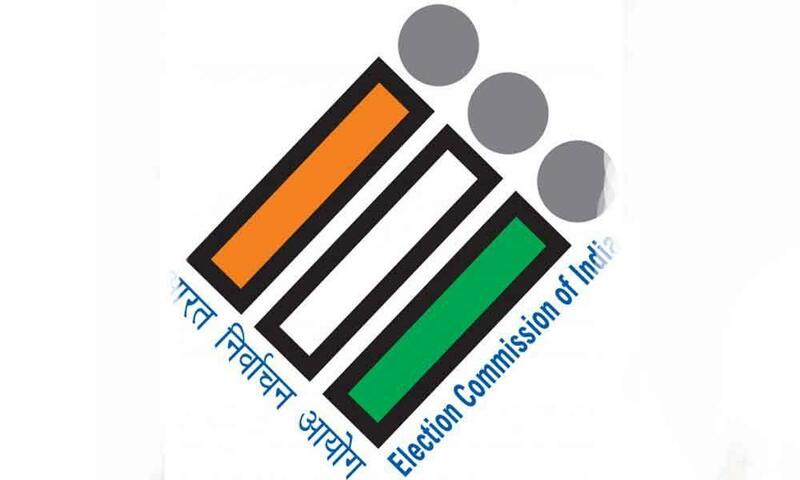 Jammu, Apr 23: The governor administration has said that the order has been issued with the concurrence of Election Commission of India conveyed by the Chief Electoral Officer, J&K. 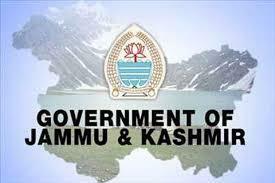 Jammu and Kashmir government on Tuesday ordered the transfer and new postings of seven officers. 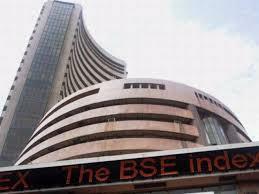 Mumbai, Apr 23 : The benchmark index of Bombay Stock Exchange (BSE) on Tuesday fell further by 80.30 points at 38,564.88 on oil woes. 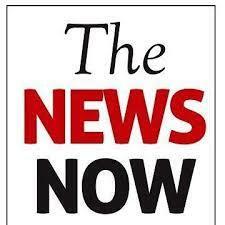 The Nifty of National Stock Exchange (NSE) too eased by 18.50 points at 11,575.95. 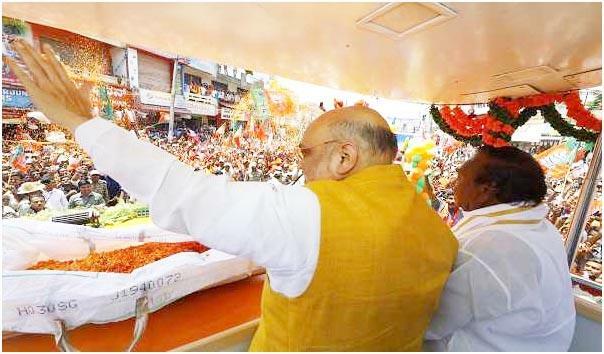 The Sensex registered the day's high and low at 38,832.61 and 38,518.26 points respectively. 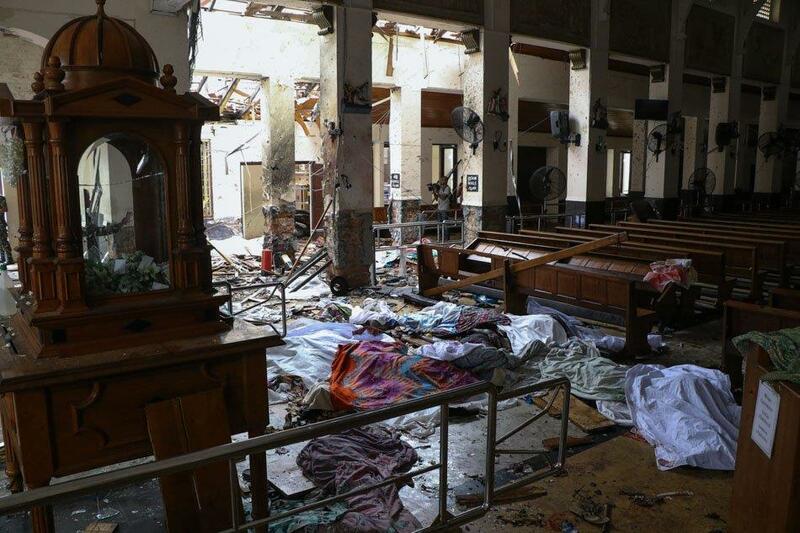 Colombo, Apr 23: The Islamic State (IS) on Tuesday claimed responsibility for the Easter Sunday bombings at churches and hotels in Sri Lanka that killed more than 300 people. 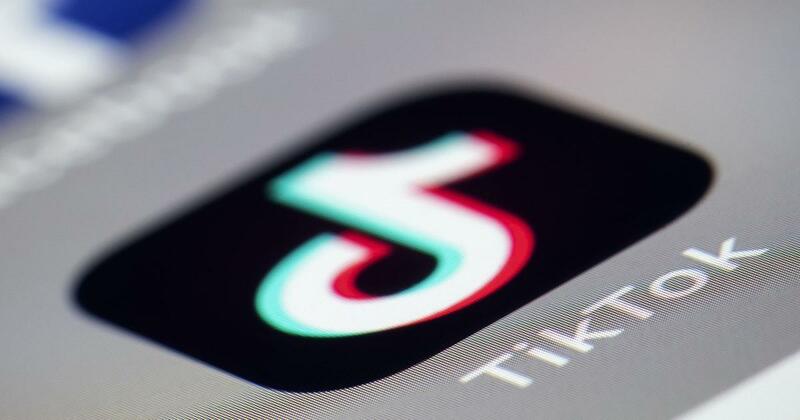 The group’s Amaq news agency made the claim, according to a report of The New York Times. 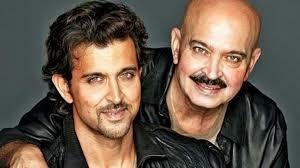 New Delhi, Apr 23: Termed one of the most handsome men in the world, Hrithik Roshan has had his share of struggles and the accounts of the same have found themselves in a book by the International author, Ben Brooks titled 'Stories for boys who dare to be different'. 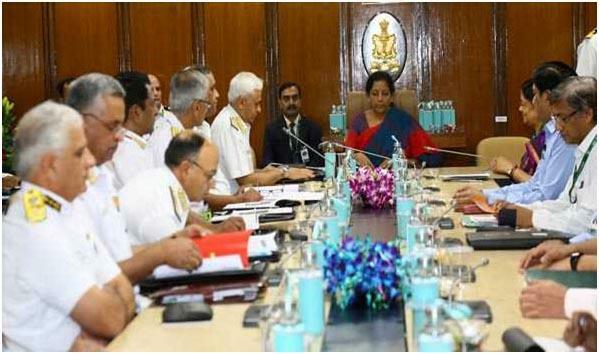 New Delhi, Apr 23: The first edition of Naval Commanders’ Conference got underway on Tuesday with Defence Minister Nirmala Sitharaman addressing the top echelons of Indian Navy. 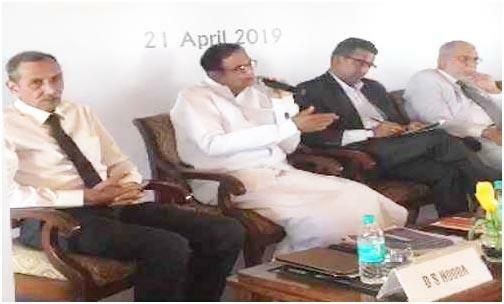 Srinagar, Apr 23: The Department of Cardiology, S K Institute of Medical Sciences (SKIMS) performed a successful complex percutaneous transcatheter intervention in a high-risk case, Public Relations Officer (PRO) of the institute said on Tuesday. 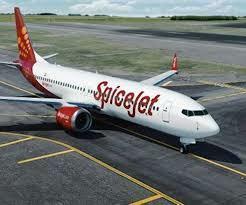 Kolkata, Apr 23: SpiceJet today announced the launch of 28 new flights connecting the key metros of Mumbai and Delhi with other cities on its domestic network. Of these, 14 will connect Mumbai, eight will connect Delhi while the rest will connect the two metros with each other. All the new flights will be effective from April 26, the carrier said in an emailed statement. 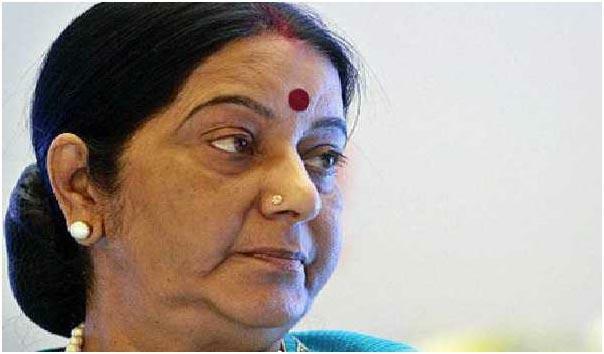 New Delhi, Apr 23: India is "adequately prepared" to deal with the impact of the US decision to end waiver for importing oil from Iran, the government said on Tuesday, and that it will work with other partner countries, including the US, to find "all possible ways" to protect its energy security and economic interests. 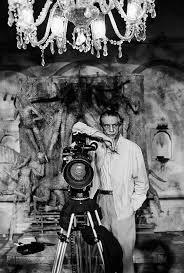 Kolkata, Apr 23: Bengal on Tuesday remembered the legendary film maestro Satyajit Ray on his 27th death anniversary, who not only directed his films but wrote the scripts as well as the musical score. The filmmaker not only played a major role in placing India on the global cinematic map but his works continue to inspire a number of acclaimed filmmakers even today. 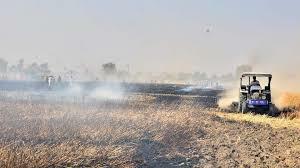 Sri Muktsar Sahib, Apr 23 : Standing wheat crop spread over more than 100 acres in three villagers of this district were destroyed in a fire that broke out on Monday. New Delhi, Apr 23 : Delhiites on Tuesday woke up to a warm morning, with the minimum temperature settling at 22 degrees Celsius, a notch below the normal. 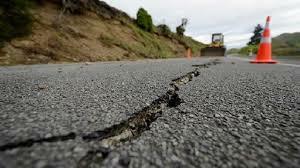 Manila, Apr 23: A 6.2-magnitude earthquake struck Eastern Samar province in the central Philippines on Tuesday, the Philippine Institute of Volcanology and Seismology (Phivolcs) said. The institute said the earthquake, which struck at 1337 hours (local time), hit at a depth of 17 km, about 19 km northwest of San Julian town in Eastern Samar province. 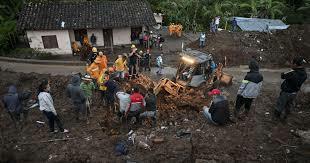 Caracas, Apr 23 : Death toll increased to 20 in a landslide that hit the southwestern Colombian province of Cauca, the country's National Unit for Disaster Risk Management (UNGRD) said. Earlier, the landslide caused by heavy rains rocked the town of Rosas in Cauca province on Sunday morning. According to previous reports, 17 people were killed in the landslide. 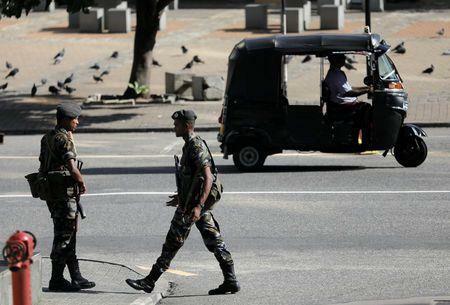 Colombo, Apr 23 : As a state of emergency took effect Tuesday giving the Sri Lankan military war-time powers, police arrested 40 suspects, including the driver of a van allegedly used by the suicide bombers and the owner of a house where some of them lived. 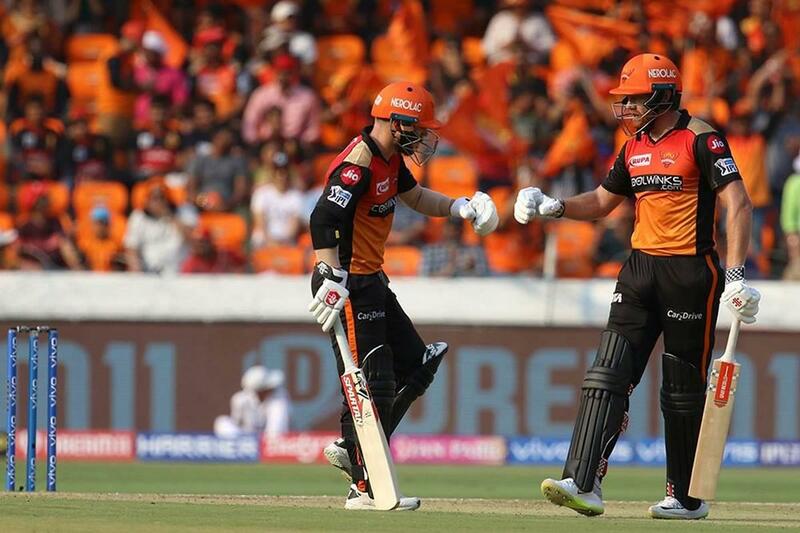 New Delhi, Apr 23: Sunrisers Hyderabad's (SRH) two explosive openers England 's Jonny Bairstow and Australia's David Warner are scheduled to leave the IPL for their respective countries. The Right-handed opener Jonny Bairstow will be leave the squad on April 23 to join England team ahead of ICC World Cup, which is slated to begin from May 30 in England and wales. Mumbai, Apr 23: The Rupee on Tuesday rose marginally by five paise to 69.62 against the UD Dollar in early trade on selling of US Dollars by bankers and importers, dealers at forex market said. 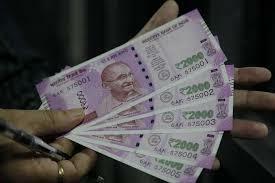 With Monday's heavy loss of 31 paise, the local unit slightly improved by 5 paise at 69.62 against the greenback. Imphal, Apr 23 :A teacher was injured in a blast at Minuthong last night here at Minuthong. 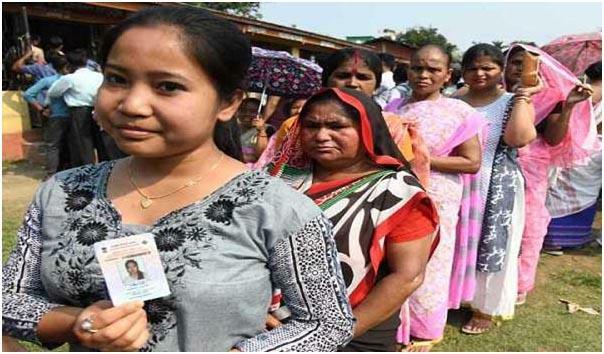 Police said two bombs blasted near Assam Rifles transit camp which led to confusion and chaos on the area. 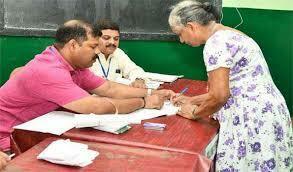 The government teacher, Konsam Santosh was rushed to Raj Medicity for treatment. Police rushed in and took stock of the situation. Two bombs were also planted yesterday near a school. 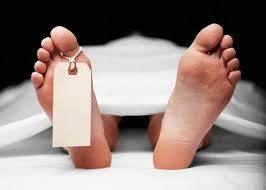 Jammu, Apr 23 : A policeman and a civilian on Tuesday died of electric shock in Poonch district of Jammu and Kashmir. 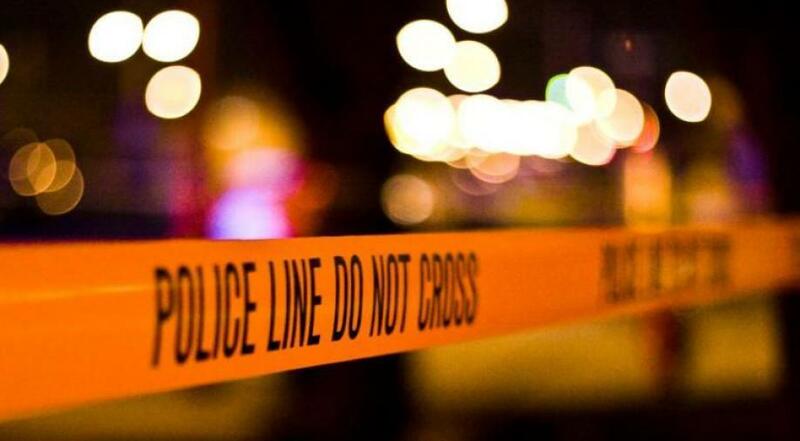 "A police constable and a civilian died early morning on Tuesday due to short circuit of 33KV transformer at Chungan Chroon area of Mendhar in Poonch district," a police official here said. 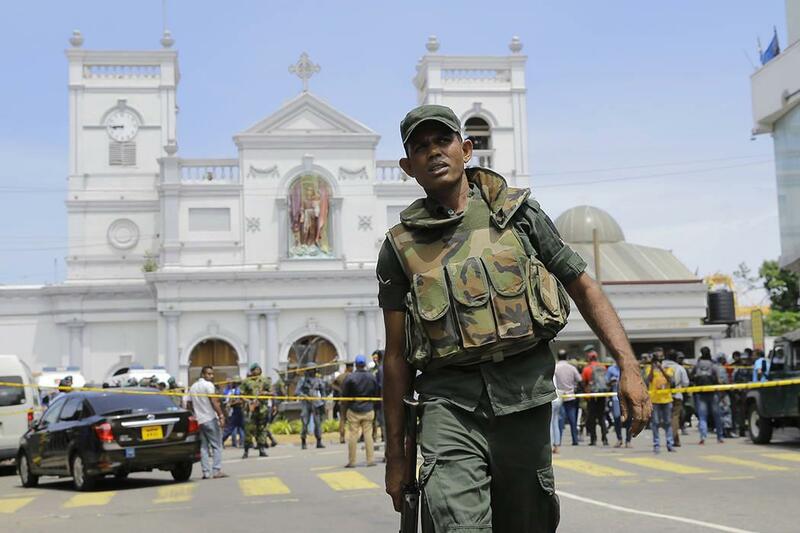 COLOMBO: The Sri Lankan government believes a local Islamist extremist group called the National Thowheeth Jama'ath (NTJ) was behind the deadly suicide bomb attacks that killed nearly 300 people, government spokesman Rajitha Senaratne said Monday. Senaratne, who is also a cabinet minister, added that the government was investigating whether the group had "international support". 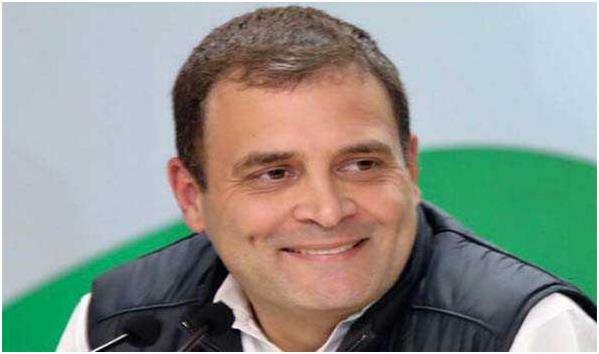 New Delhi, Apr 22: Congress president Rahul Gandhi on Monday filed his reply in the Supreme Court to the contempt plea filed against him by BJP Parliamentarian Meenakshi Lekhi and expressed regret for the remarks he made against Prime Minister Narendra Modi. 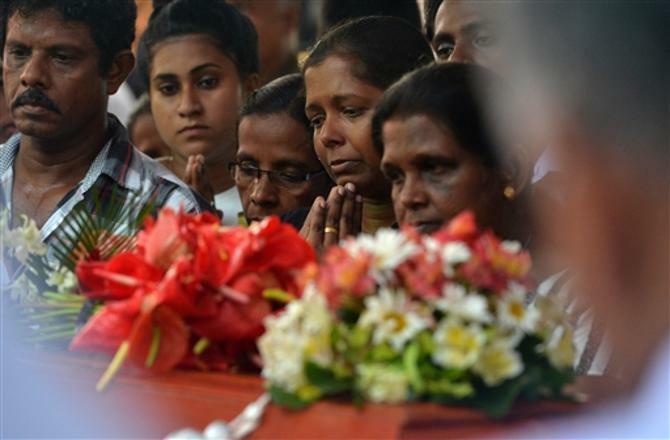 Colombo, Apr 22 : President Maithripala Sirisena on Monday appointed a three-member committee headed by an apex court judge to probe the country's deadliest terror attack and submit a report within two weeks, according to media reports. 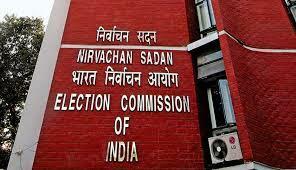 Mumbai, Apr 22: The Election Commission of India on Monday submitted a sealed report on PM Narendra Modi, the biopic of Prime Minister Narendra Modi to the Supreme Court after the top court last week directed the poll body to watch the movie and submit its report. 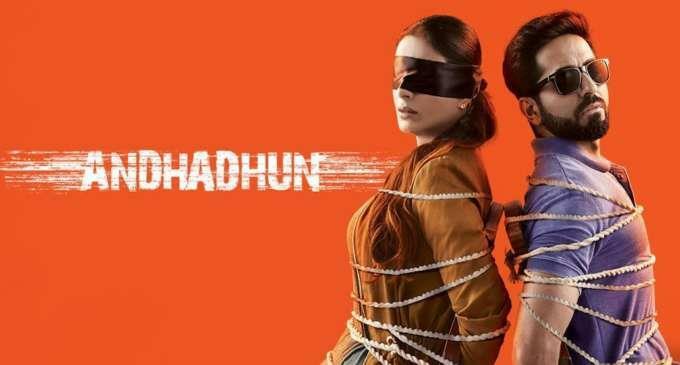 The producers of the movie had raised objections over the EC’s decision to stop the screening of the film without even watching it. 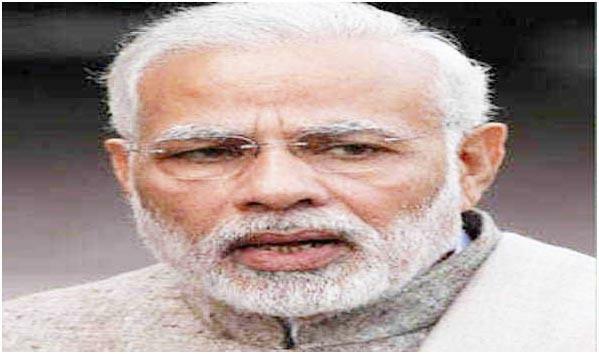 New Delhi, April 22: Citing the example of the Easter Sunday bombings in Sri Lanka that killed 290 people, Prime Minister Narendra Modi claimed that India is now virtually "terror-free" barring some pockets of Jammu and Kashmir. 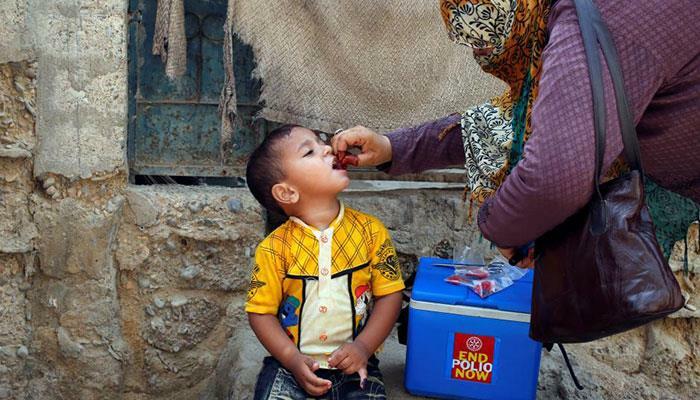 Islamabad, April 22: Pakistan, one of the three countries where polio is still endemic, on Monday launched a country-wide campaign to administer anti-polio drops 39 million children under five years of age. 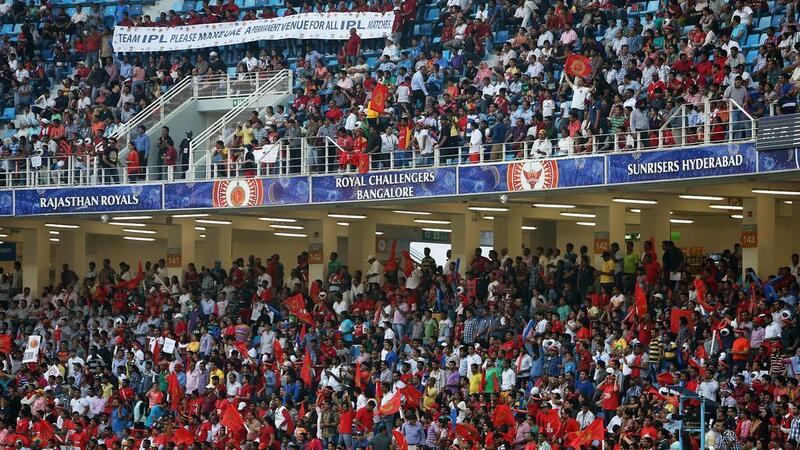 HYDERABAD: Telugu TV actor Prashanthi and five others were booked for creating nuisance and obstructing a person from watching IPL match at Uppal stadium here, said police. 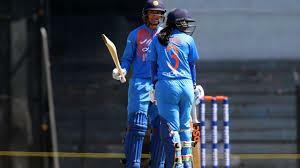 According to the complainant, Prashanthi and five others didn't allow him to watch the match between Sunrisers Hyderabad and Kolkata Knight Riders. They also abused and threatened him. The top court's direction came after counsel Abhishek Manu Singhvi said the order could not be passed without hearing him and the experts. 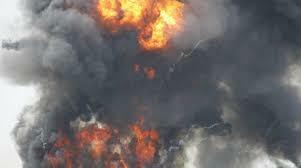 Colombo, Apr 22: The death toll in Sunday's explosions has risen to 290 while the number of injured persons stands at over 500, police said on Monday. 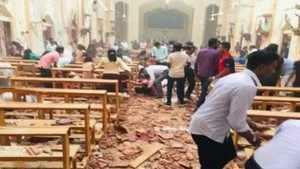 Five Indians are among the 290 killed in the terror attack which ripped through through Sri Lanka on Easter Sunday. 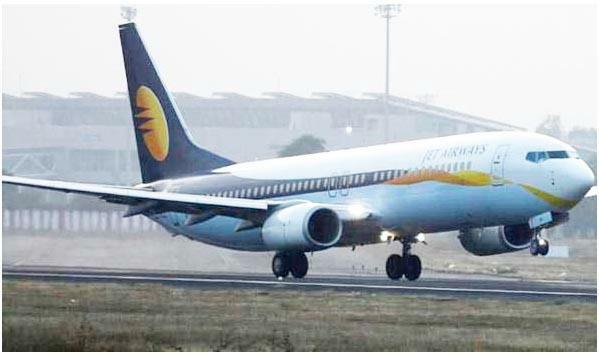 New Delhi, Apr 22: Grounded carrier Jet Airways today said its non-executive and non-independent director Nasim Zaidi has quit the board, citing personal reasons and time constraints. 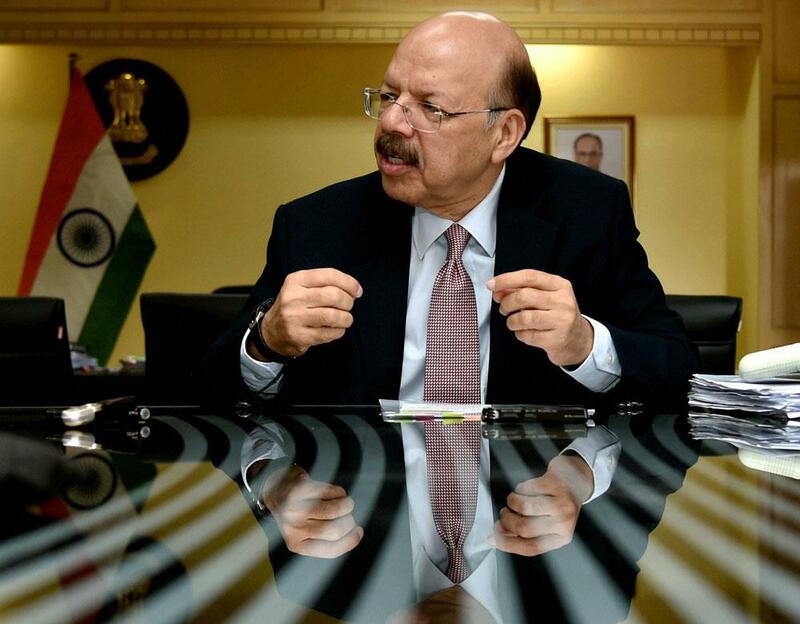 Zaidi, the former Chief Election Commissioner and ex- civil aviation secretary, joined the Jet Airways board in August last year. COLOMBO: A string of eight powerful blasts, including suicide attacks, struck churches and luxury hotels frequented by foreigners in Sri Lanka on Easter Sunday, killing 215 people, including four Indians, and shattering a decade of peace in the island nation since the end of the brutal civil war with the LTTE. 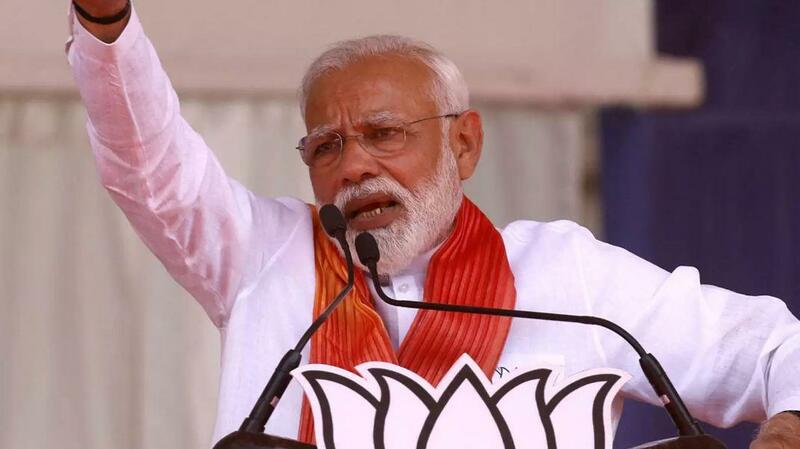 JAMMU: Accusing the Congress of losing the upper hand 47 years ago, Prime Minister Narendra Modi on Sunday said India surrendered a "golden opportunity" during 1971 war by releasing 90,000 Pakistani troops from the Indian Army's custody "under global pressure" which it could have used to resolve Kashmir dispute. 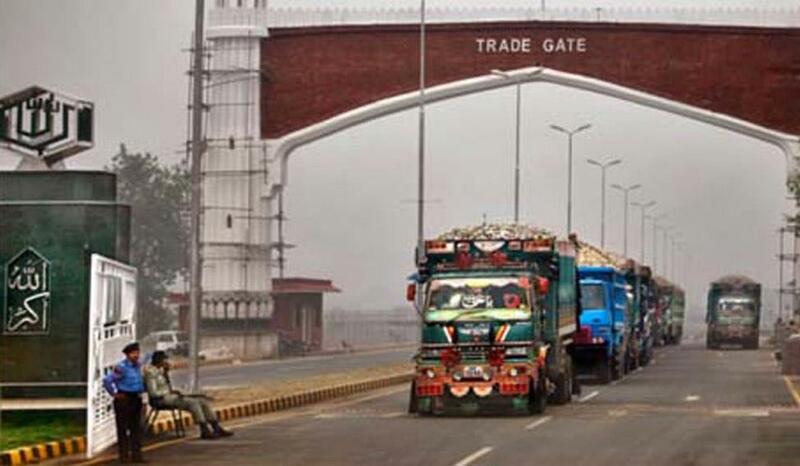 ISLAMABAD: Pakistan on Sunday deplored India's "unilateral" decision to suspend cross-LoC trade and rejected the allegations regarding its "misuse" by elements from across the border to smuggle weapons, narcotics, fake currency and foment terrorism. 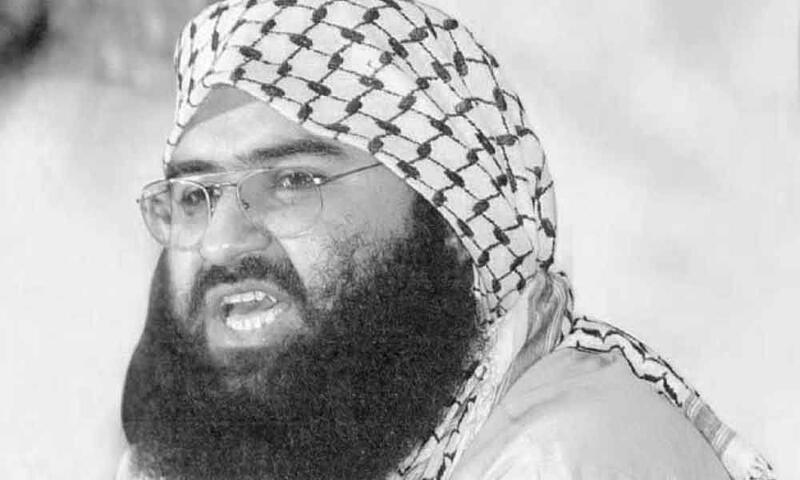 BEIJING: India's Foreign Secretary Vijay Gokhale reached Beijing on Sunday to hold talks with China's State Councillor and the country's top diplomat, Wang Yi, in which the vexed issue of blacklisting Pakistan-based terrorist Masood Azhar at the UN panel is likely to figure. 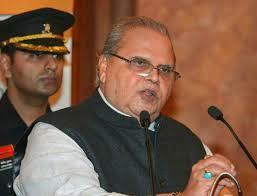 Gokhale is scheduled to hold regular consultation on Monday with Wang, who is also the Chinese Foreign Minister. 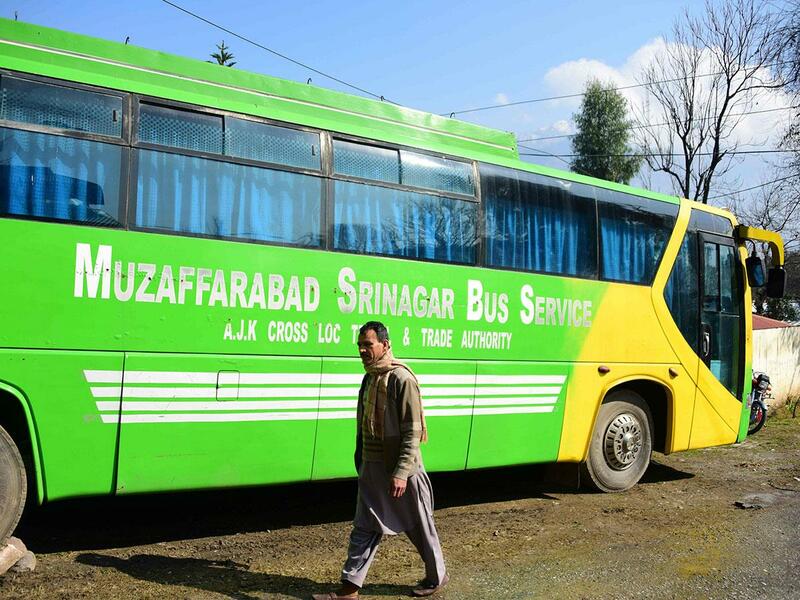 Srinagar, Apr 22: The Karvan-e-Aman bus, operating between Srinagar and Muzaffarabad, capital of Pakistan Occupied Kashmir (PoK) remained suspended for the 8th consecutive week on Monday, official sources said. 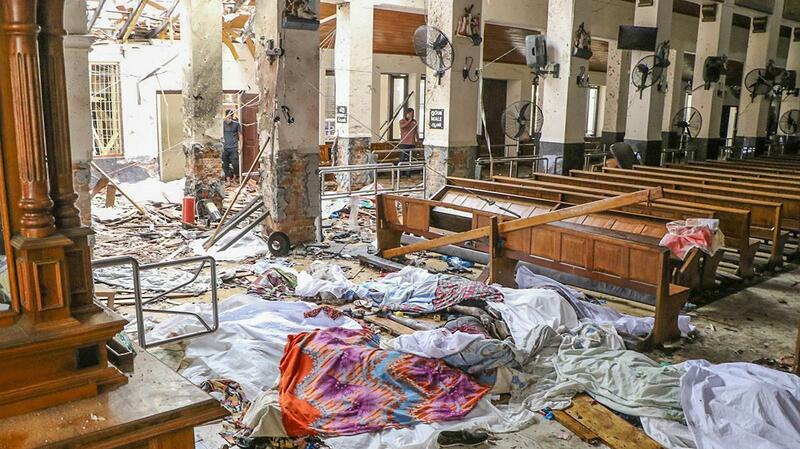 Colombo, Apr 22: At least six Indians have been killed in a string of eight powerful blasts, including suicide attacks, which struck three churches and luxury hotels frequented by foreigners in Sri Lanka on Easter Sunday, officials said on Monday. 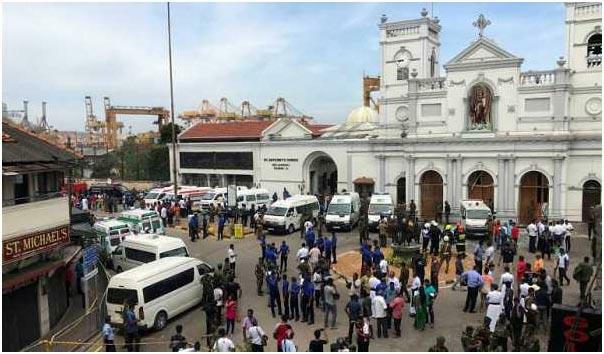 Colombo, Apr 22: Sri Lankan authorities have arrested 24 people from the minority Muslim community in connection with the multiple blasts that rocked the island nation on Sunday, killing over 290 people. 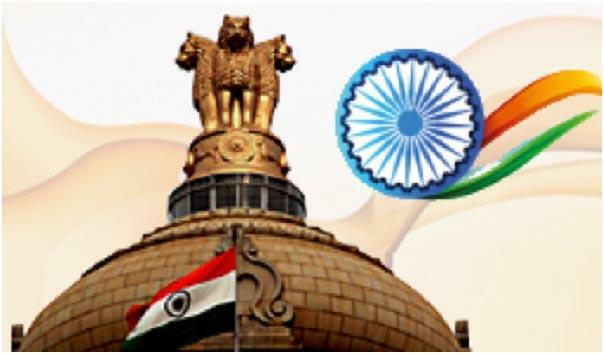 New Delhi, Apr 21 (UNI) India strongly condemned the serial blasts on multiple locations in Sri Lanka on Sunday which killed more than 140 people and wounded hundreds, and said it is monitoring the the situation in .the island nation. 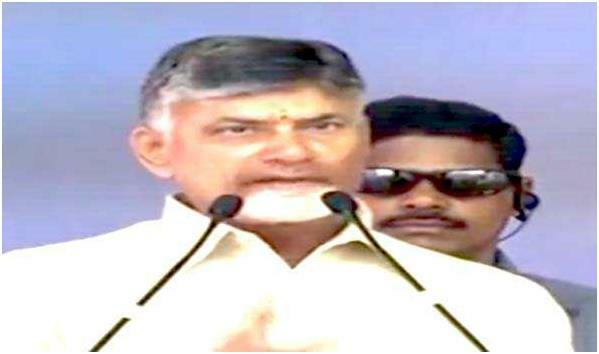 'We strongly condemn such acts of terror. 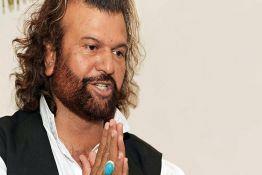 India stands firmly with our neighbour nation in these trying times,' he said in a statement here. 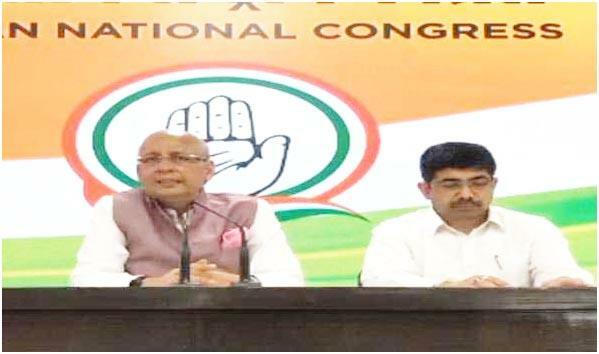 New Delhi, Apr 21 (UNI) Accusing Narendra Modi government of politicising the defence forces, Indian National Congress said on Sunday that its governments had always made national security a paramount issue and displayed zero tolerance for militancy. 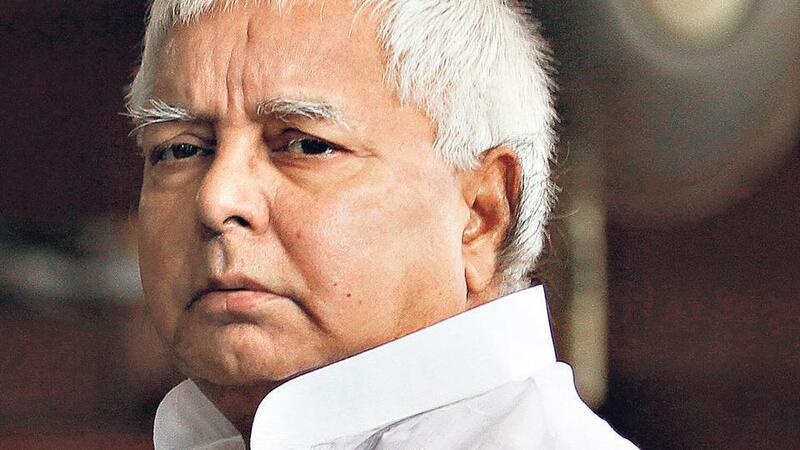 Patna, Apr 21 (UNI) Ruling JD (U) in Bihar today sent a missive to Election Commission urging it to take action against RJD chief Lalu Prasad for distributing tickets to his party candidates for Lok Sabha election from jail itself. 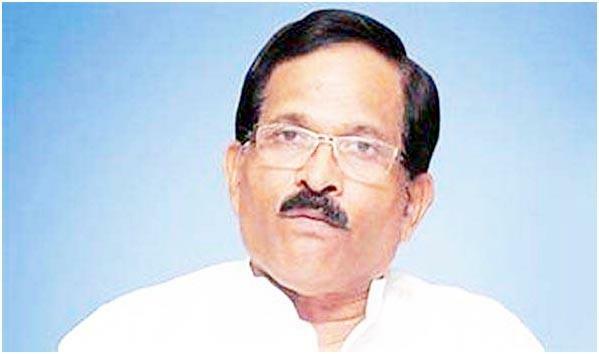 Panaji, Apr 21 (UNI) Union Minister for AYUSH and Bharatiya Janata Party (BJP)'s candidate for Lok Sabha elections in North Goa constituency Shripad Naik on Sunday exuded confidence of winning the elections for the fifth term and claimed that he would win the election by more margin that what he got in 2014 elections. Bhopal, Apr 21 (UNI) In the wake of remarks vis-a-vis Indian Police Service officer Hemant Karkare who was martyred during the 2008 Mumbai terror attacks, the Bharatiya Janata Party’s Bhopal parliamentary constituency candidate Pragya Singh Thakur is again a subject of discussion over her statement on the Ayodhya issue. 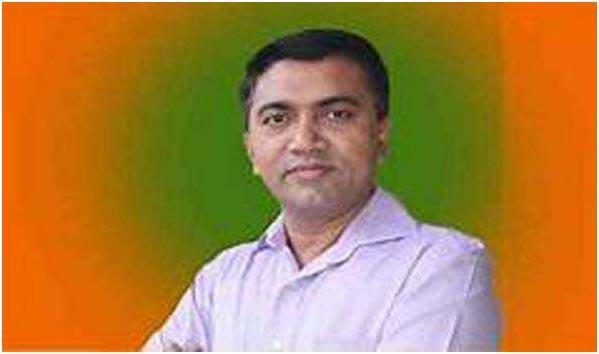 Panaji, Apr 21 (UNI) Goa Chief Minister Pramod Sawant on Sunday condemned attacks on churches in Sri Lanka on Easter Sunday and said he had spoken to State Director General of Police Pranab Nanda instructing to him beef up security around churches in the state. 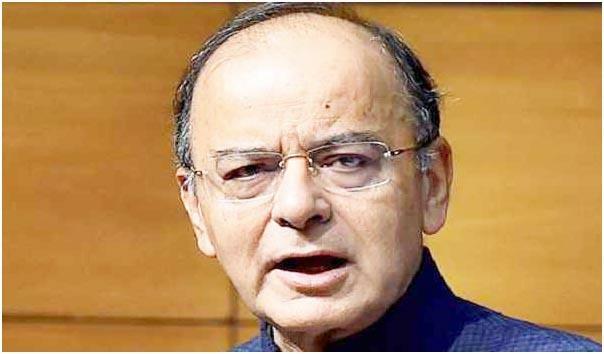 New Delhi, Apr 21 (UNI) In the wake of sexual harassment allegations levelled on CJI Ranjan Gogoi, Finance Minister Arun Jaitley said on Sunday if those who peddle falsehood to destroy the institution are not dealt with in an exemplary manner, the trend will only accelerate. 'But let it be remembered that this is not the first case of the ‘institutional destabilizers’ nor will it be the last. New Delhi, Apr 21 : Ravichandran Ashwin on Sunday was fined Rs 12 lakh for maintaining a slow-over rate during the Indian Premier League (IPL) match against Delhi Capitals (DC) at the Feroz Shah Kotla Stadium. 'As it was his team's first offence of the season under the IPL's Code of Conduct relating to minimum over-rate offences, Mr. Ashwin was fined Rs 12 lakh," read an IPL statement. today had a miraculous escape from the multiple bomb blasts that rocked Colombo in Sri Lanka. 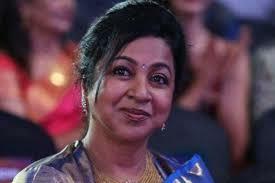 She had checked out of the hotel to board a flight to Chennai minutes before the blast took place. 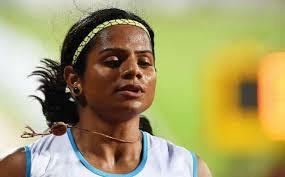 Kozhikode, Apr 21 : Sprint star Dutee Chand set a new national record in a 100-metre category by completing the race in 11.28 seconds in the heat round of the ongoing 23rd Doha Asian Athletics Championship on Sunday. Dutee clocked 11.28s in the heats, breaking her own national record of 11.29s set in Guwahati last year. 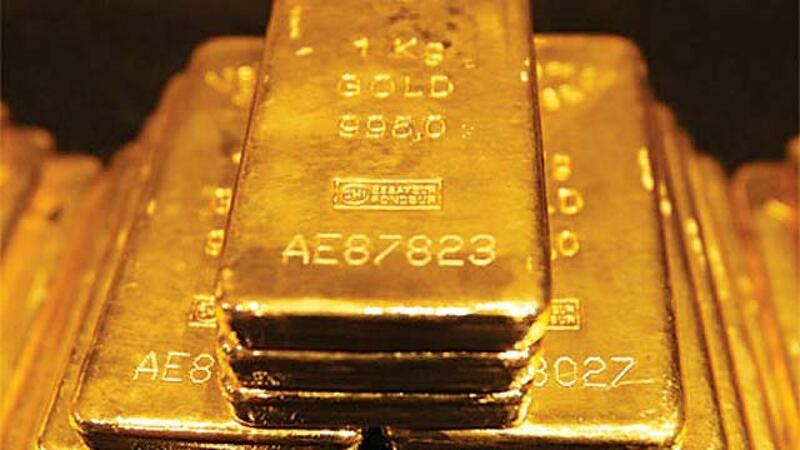 Chennai, Apr 21: Customs officials have seized 1,063 kg gold valued at Rs 34.59 lakh and foreign cigarettes worth Rs 1.44 lakh and arrested one person at the Anna International airport here. A release from the Office of the Commissioner of Customs said the officials have detected two cases of smuggling of gold and three cases of cigarette smuggling. 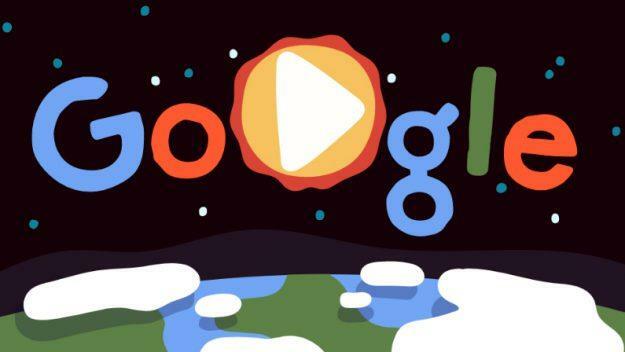 Thiruvananthapuram, Apr 21: Kerala Startup Mission (KSUM), in association with Google for Entrepreneurs, will organize the “TechStars Startup Weekend” here from April 26. The 54-hour three-day event is designed to provide superior experiential education for technical and non-technical entrepreneurs. Srinagar, Apr 21: Shab-e-Baraat was celebrated with religious fervour and gaiety in the Kashmir valley, where people joined night-long prayers in mosques, shrines, Jamia Masjids and other places. 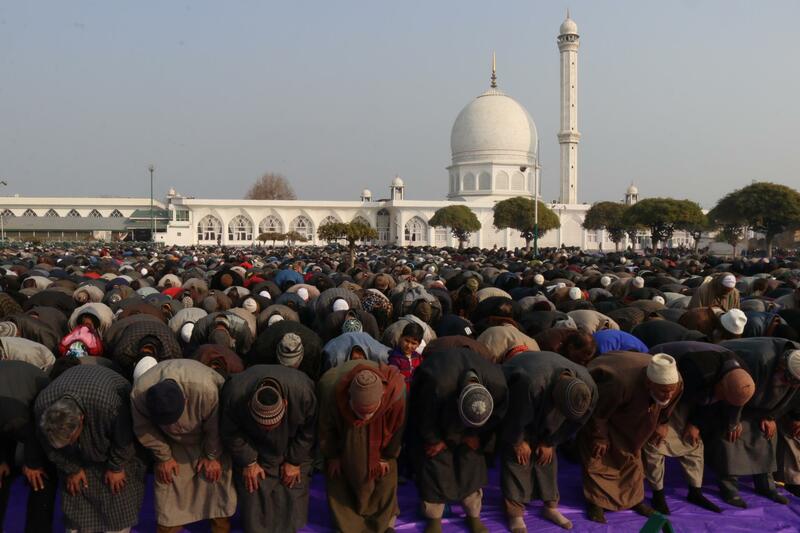 Lakhs of people, including women and children, joined night-long prayers in Kashmir valley and Ladakh region, where Islamic scholars and Ulmas highlighted the importance of the night. 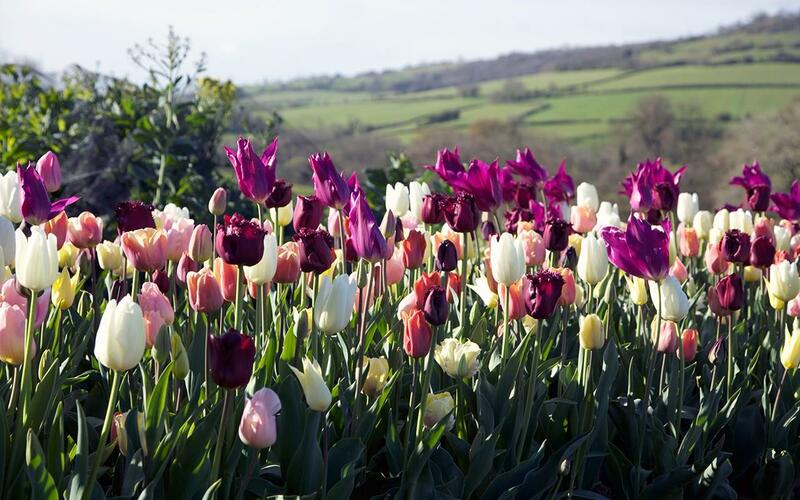 Nathatop (J&K), Apr 21:Tulip garden at Sanasar is in full bloom but unfortunately, the visitors are not much keen to visit to this scenic place to have a glimpse of high breed flowers, courtesy, pathetic road condition leading to the destination. 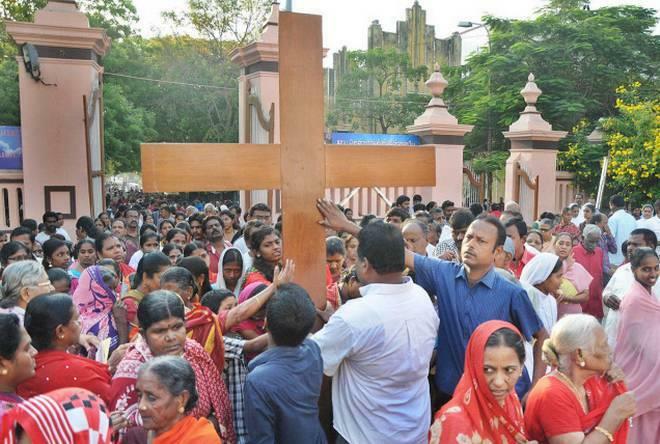 Puducherry, Apr 21: Easter, the resurrection of Jesus Christ was celebrated with religious fervour by Christians in the Union Territory on Sunday. Midnight and early morning mass were conducted in all churches here to mark the occasion. 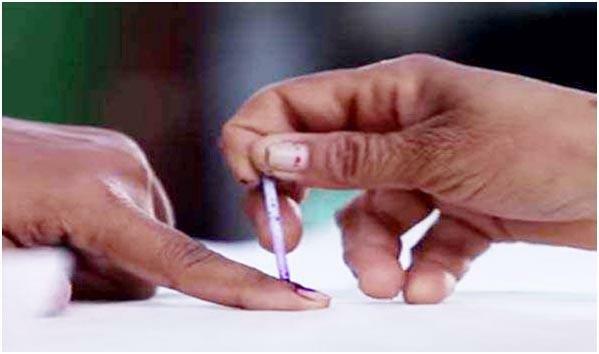 Srinagar, Apr 21: The Crime Branch (CB) has registered a case against health department officials, including some officers, for 258 fake appointments in three medical blocks in north Kashmir. 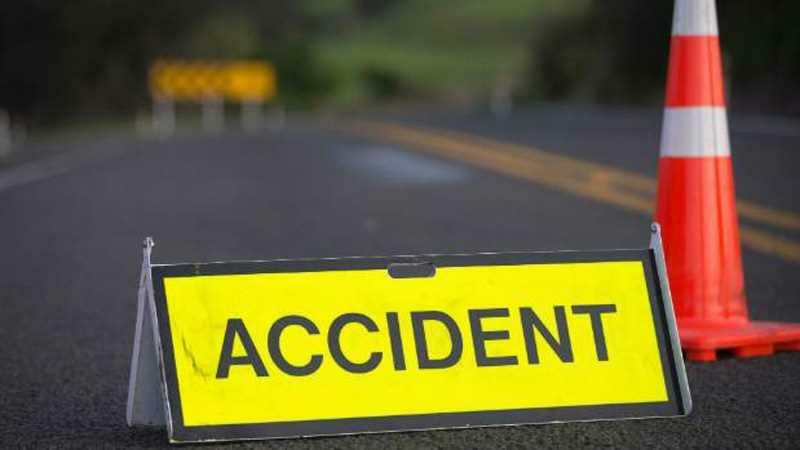 Jammu, Apr 21: A lady killed and two others injured when a jeep in which they were travelling in skidded off the road and plunged into a deep gorge in Ramban district on Sunday. "A jeep (Jk19 2566) on its way from Chanderkote to Kunfer this morning while crossing Kunfer bridge area rolled down into deep gorges," police here said. Gaborone, Apr 21 (Xinhua): Attending the 2019 Belt and Road for International Cooperation (BRF) will provide Botswana with a chance to strengthen trust and cooperation with China, a senior official said Saturday. 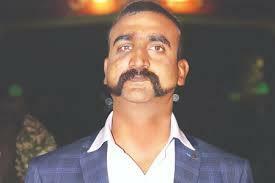 NEW DELHI, Apr 21: The IAF has recommended Wing Commander Abhinandan Varthaman for a top wartime gallantry award, while also transferring him out of the Srinagar to another base on the western front till he is found medically fit to fly again. 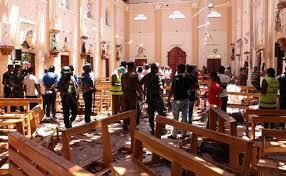 Sri Lanka, Apr 21: Multiple explosions in two churches of Colombo during Easter Mass. 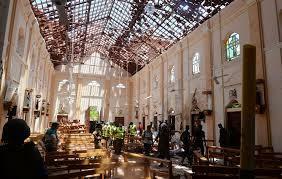 The churches hit were in the north of the capital, and the town of Negombo, just outside Colombo. 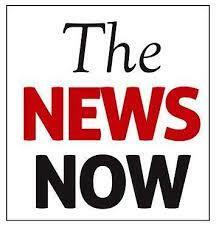 Mainpuri, Apr 21: At least 8 people have been killed and more than 25 passengers injured after a bus rammed into a truck on Agra-Lucknow Expressway in Karhal area on Sunday morning. 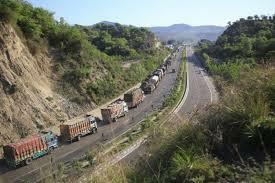 According to police, a bus was on its way to Varanasi from New Delhi met with an accident near milestone 87. As per preliminary reports, the lapses were on bus drivers part. 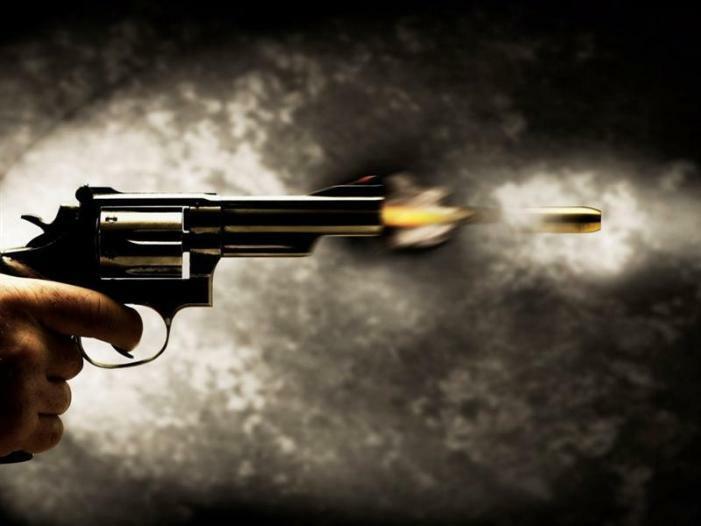 Srinagar, Apr 21: A 54-year-old contractor was shot at and critically injured by unidentified gunmen in south Kashmir district of Anantnag late on Saturday evening. 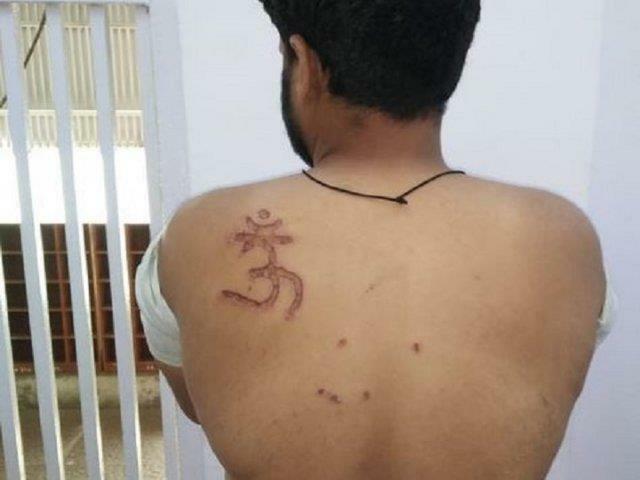 New Delhi, Apr 20 (UNI) A Delhi Court has ordered an enquiry after a minority 'undertrial' inmate was branded with an "Om" symbol allegedly by a Tihar jail superintendent. 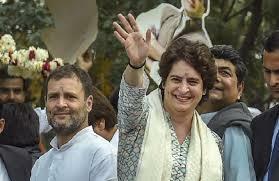 The court on Friday issued notice to DGP (Prison) and directed jail authorities to submit a report within 24 hours. 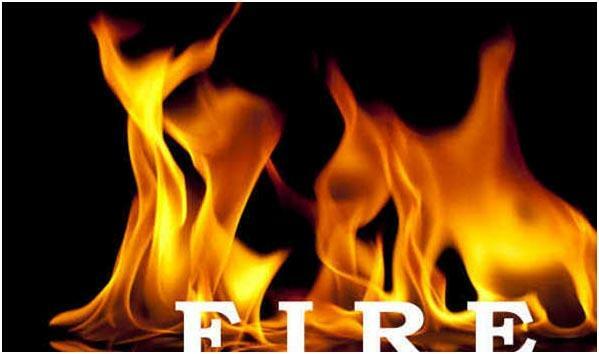 New Delhi, Apr 20 (UNI) A fire broke out in mobile accessories shop in Gaffar market in Karol Bagh here on Saturday, fire official said. 'A call was received at 1149 hrs that a fire has broke out in mobile accessories shop in Gaffar market, following which six fire tenders were rushed to the spot to douse the flames,' the official said. 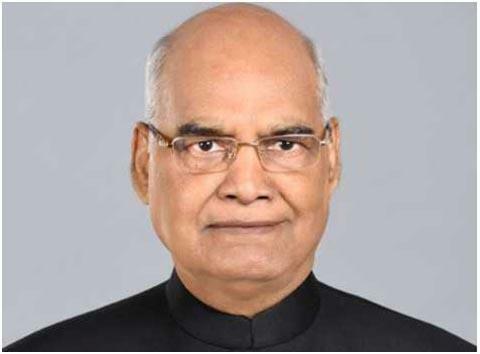 New Delhi, Apr 20 (UNI) Prime Minister Narendra Modi on Saturday condoled the demise of former Gujarat Chief Secretary HK Khan. 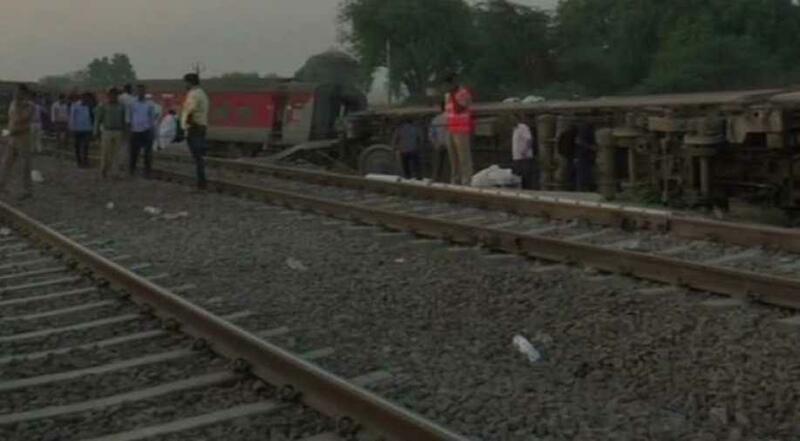 the early morning derailment of Howrah-New Delhi 12303 Poorva Express near Kanpur. 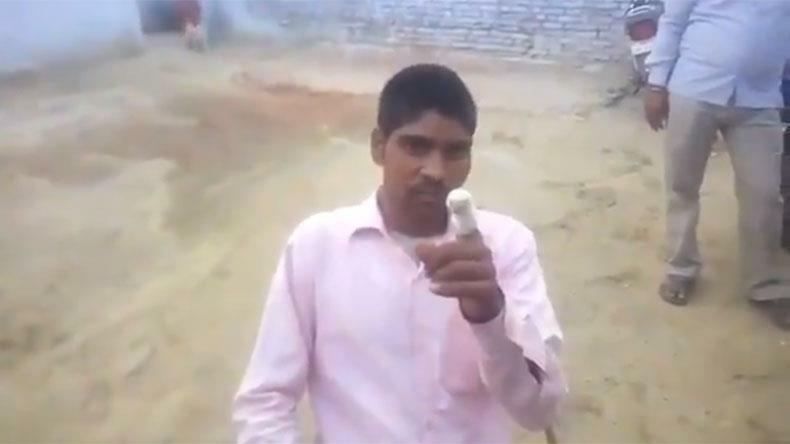 Eleven people, out of 14 people who were injured, were discharged after providing them first aid, while three people with simple injuries were taken to Hallet Hospital, Kanpur, Railways said. 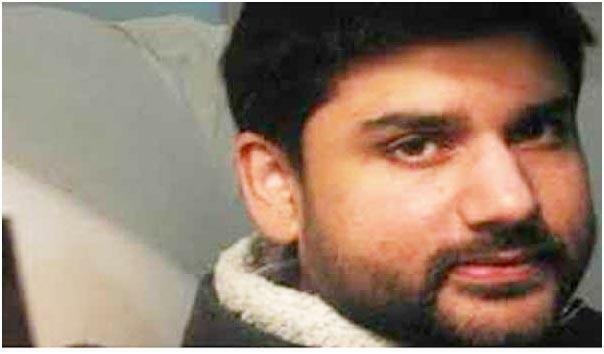 New Delhi, Apr 20 (UNI) Post mortem report of Rohit Shekhar Tiwari, son of former Uttarakhand and Uttar Pradesh Chief Minister N D Tiwari, has raised questions over his death suggesting the cause of death being 'unnanutral'. 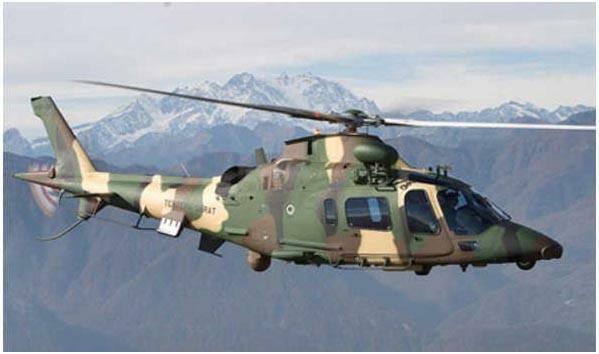 New Delhi, Apr 20 (UNI) A Special Court here on Saturday rejected the bail application of alleged arms dealer and businessman Sushen Mohan Gupta in connection with AgustaWestland Money Laundering case. Gupta was arrested on March 26 this year and remanded to judicial custody till April 20. 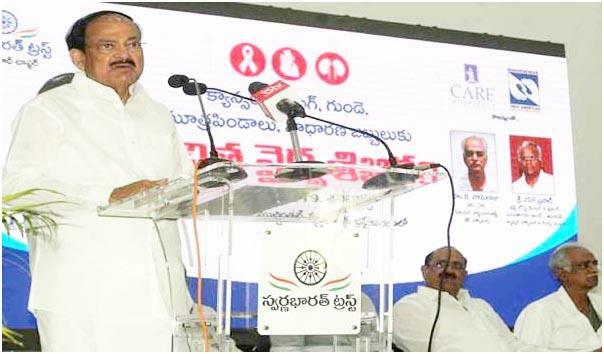 Hyderabad, Apr 20 (UNI) Vice President M Venkaiah Naidu has urged the medical fraternity to create awareness among the people, particularly the youth, on the dangers posed by changing lifestyles. 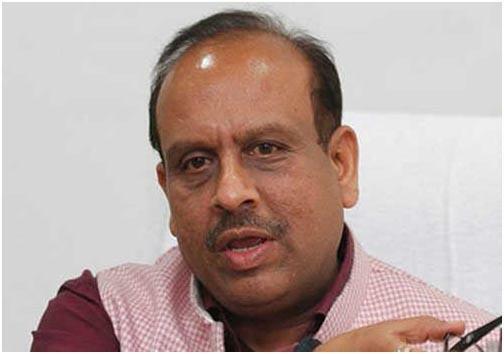 New Delhi, Apr 20 (UNI) Leader of Opposition in Delhi Assembly, Vijender Gupta, on Saturday said Chief Minister Arvind Kejriwal has deliberately thwarted the implementation of the Pradhan Mantri Awas Yojana (PMAY) in a planned and sustained manner over the last four years. 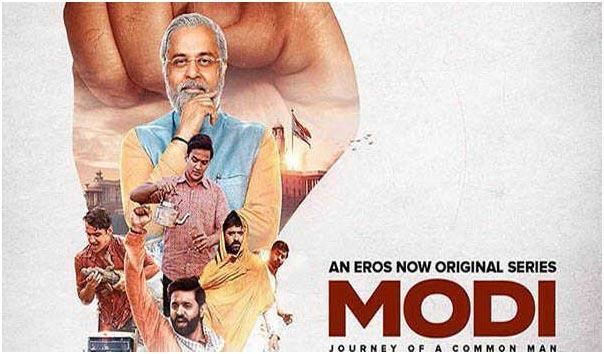 New Delhi, Apr 20 (UNI) Close on the heels of stalling the release of Prime Minister Narendra Modi's biopic 'PM Narendra Modi', the Election Commission on Saturday banned the web series on the life of Prime Minister, titled, "Modi - Journey of a common man". New Delhi, Apr 20 (UNI) The Supreme Court on Saturday fixed to another bench, the case regarding sexual harassment allegations of a former apex court staffer against Chief Justice (CJI) Ranjan Gogoi. A bench of the top court, headed by CJI Gogoi, and also comprising Justices Arun Mishra and Sanjiv Khanna, said, another bench will hear the matter. 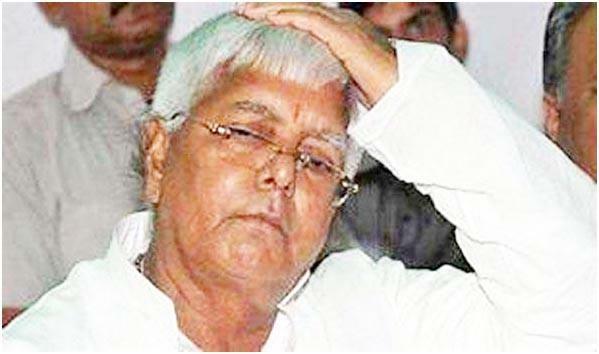 Ranchi, Apr 20 (UNI) The administration of the Birsa Munda Jail today forbidden any one from meeting with jailed former Bihar chief minister Lalu Prasad Yadav at the paying ward of the RIMS here. 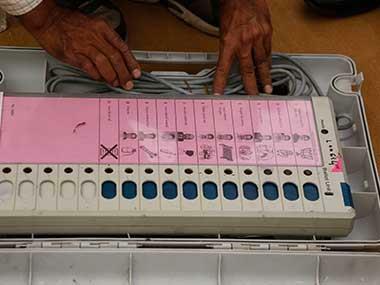 Ranchi, Mar 20 (UNI) Many prominent candidates including Kirit Azad Jha, Geet Koda, Jaggarnath Mahto and Vidyut Baran Mahto today filed their candidature during the nominations for the sixth phase of Lok Sabha elections in which voting would be held on Giridih, Dhanbad, Jamshedpur and Singhbhum (ST) seats of Jharkhand. 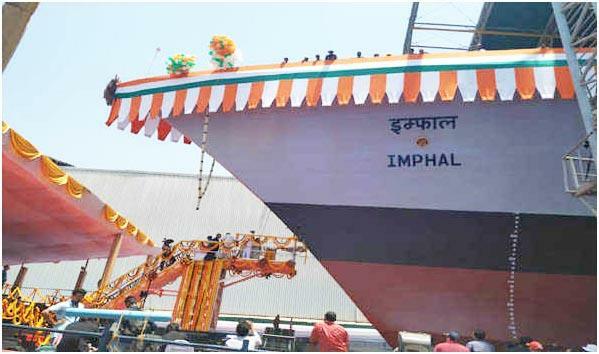 New Delhi, Apr 20 (UNI) Indian Navy chief Admiral Sunil Lanba on Saturday launched the third ship of Project 15B, Guided Missile Destroyer Imphal at Mazagon Dock Shipbuilders Limited in Mumbai. This launch marks yet another significant milestone in the annals of the indigenous warship design and construction programme of India. New Delhi, Apr 20: Former Union minister and Kerala leader S Krishna Kumar, who was in the Congress, Saturday joined the BJP, saying that he wanted to work to strengthen Prime Minister Narendra Modi's leadership. 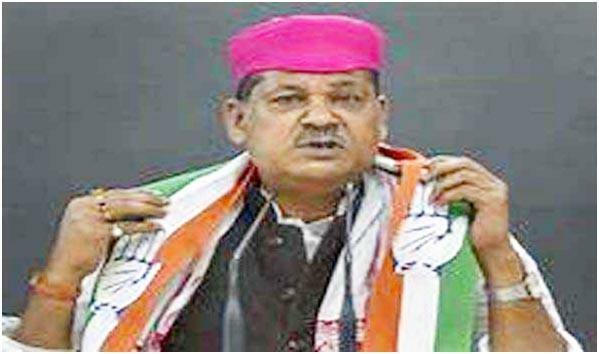 The 80-year-old leader was inducted into the party by BJP leader Anil Baluni and Shahnawaz Hussain at the party headquarters here. 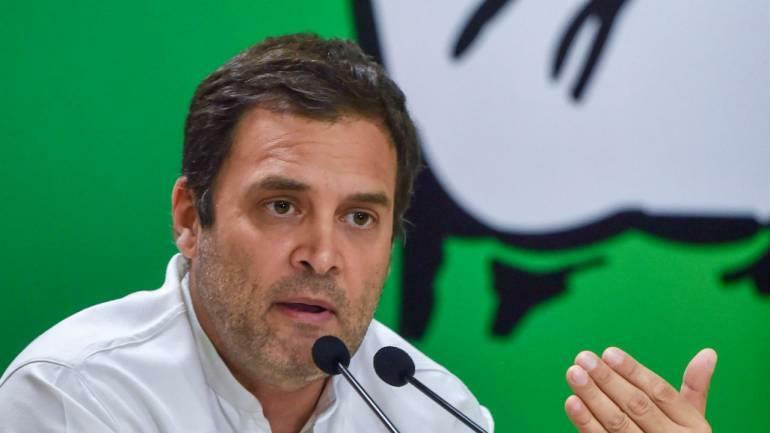 Bilaspur, Apr 20: Congress president Rahul Gandhi said Saturday that his party's ambitious `Nyay' minimum income scheme will act like a fuel for the Indian economy. 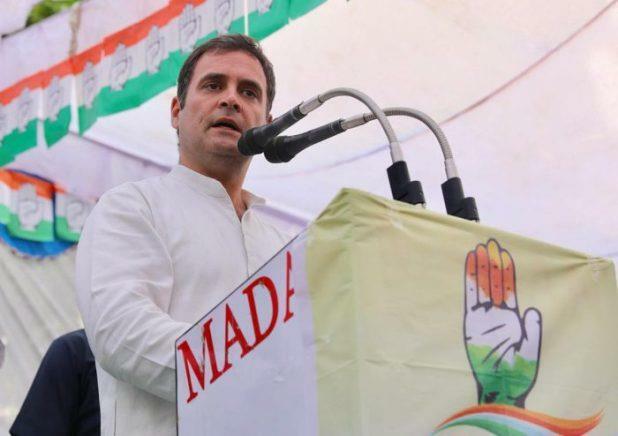 Addressing an election rally at Bilaspur in Chhattisgarh, Gandhi said the scheme, under which the Congress has promised to give Rs 72,000 per year to poor families, will be a "surgical strike" on poverty. 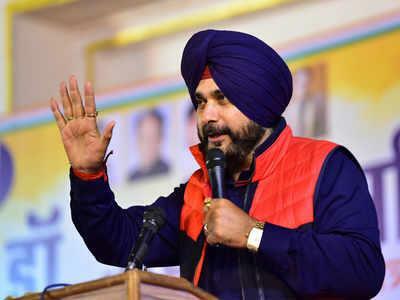 Saturday, April 20, 2019Sidhu says no regrets on denial of LS ticket to his wife, says "we are party's loyal soldiers"
New Delhi, Apr 20: Describing the allegations of sexual harassment against him as "unbelievable", Chief Justice of India Ranjan Gogoi convened an extraordinary hearing at the Supreme Court on Saturday said that a larger conspiracy was behind it and he would not stoop too low even to deny these allegations. 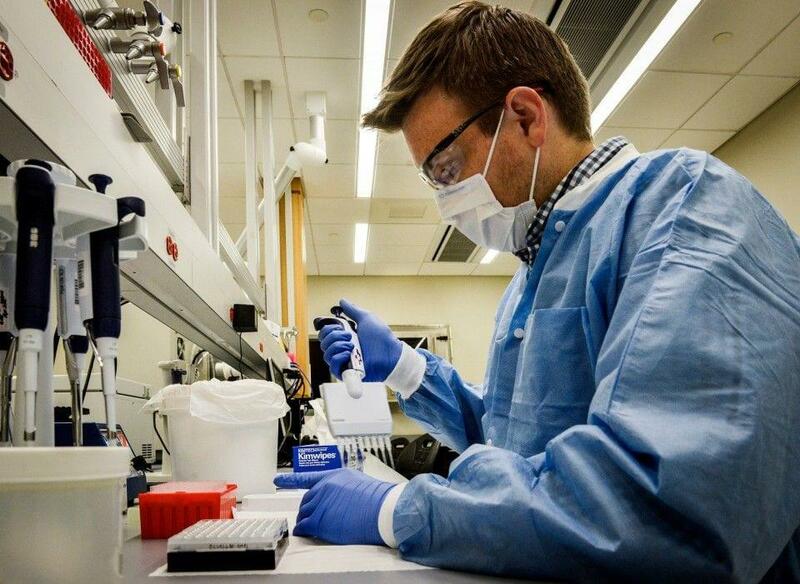 New Delhi, Apr 20: States are soon going to have cyber forensic laboratories and DNA examination facilities to deal with the growing number of crimes against women, officials said on Saturday. 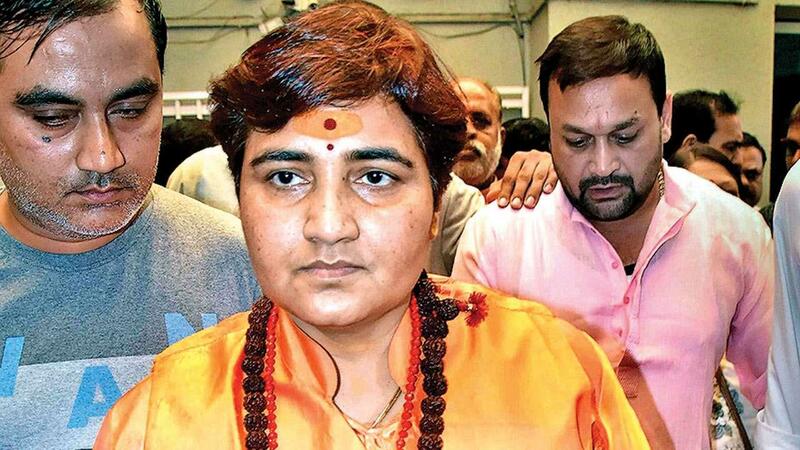 Bhopal, Apr 20: The Election Commission (EC) is going to issue a notice to Malegaon blast accused and BJP candidate from Bhopal Pragya Singh Thakur over her remarks against police officer Hemant Karkare, who was killed in the 26/11 terror attack, an officer said Saturday. 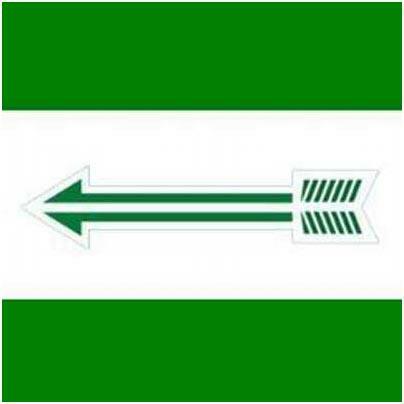 Addressing BJP workers in Bhopal on Thursday night, Thakur had claimed that Karkare died during the attacks as she "cursed"
New Delhi: Just a day after a Muslim inmate in Tihar accused the Jail superintendent of forcefully branding symbol OM on his back, the AIG PRO of the jail on Saturday said that an enquiry committee has been constituted in the case and the report will be submitted to the court soon. 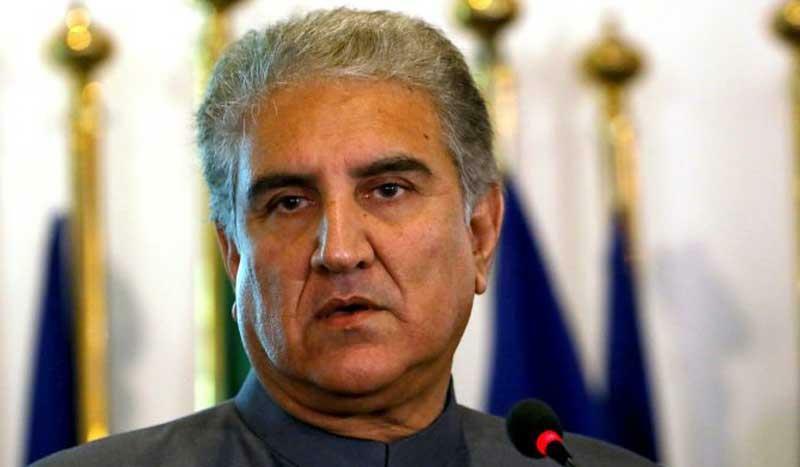 Islamabad, Apr 20: Pakistan Foreign Minister Shah Mehmood Qureshi on Friday has criticised India for using force against the people of Kashmir, saying that India could not “suppress the voice of Kashmiris” by deploying a large number of forces in the valley, Dawn reported. 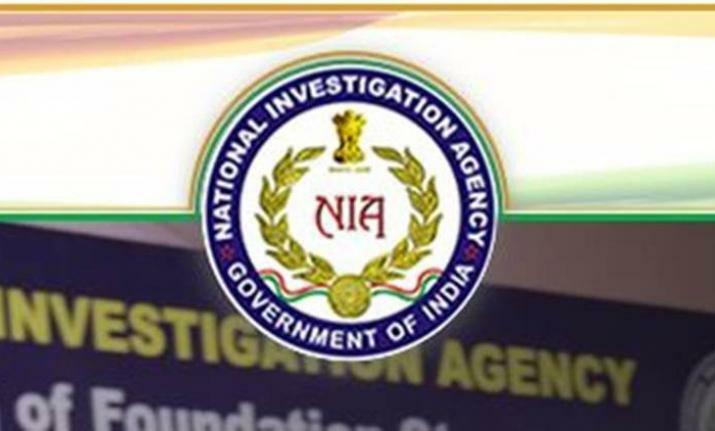 Hyderabad, Apr 20: The National Investigation Agency (NIA) conducted searches at two locations here Saturday in connection with an Islamic state module case, police said. The raids which began in the morning were still underway, they said. 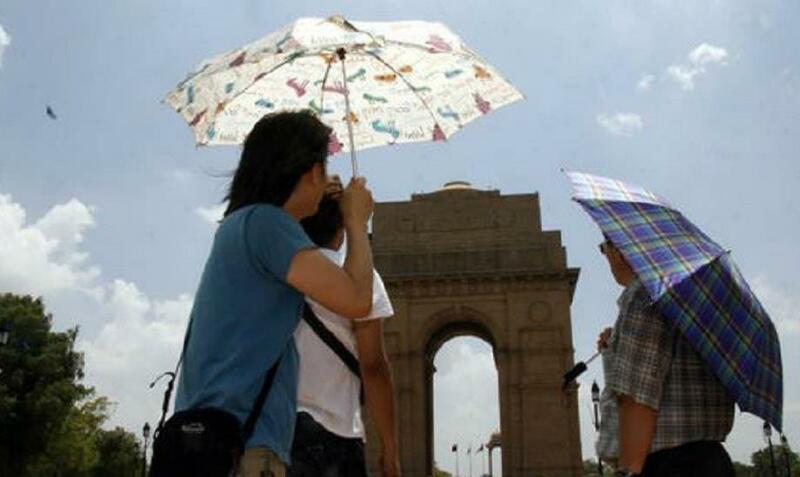 New Delhi, Apr 20: Delhiites on Saturday woke up to a pleasant morning, with minimum temperature settling at 19.8 degrees Celsius, two notches below the normal. “The rainfall recorded till 0830 hrs was 0.5 mm,” the MeT department said. 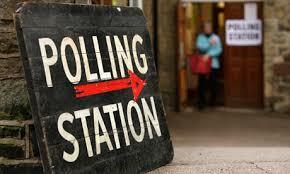 The relative humidity till 0830 hrs was pegged at 61 per cent. 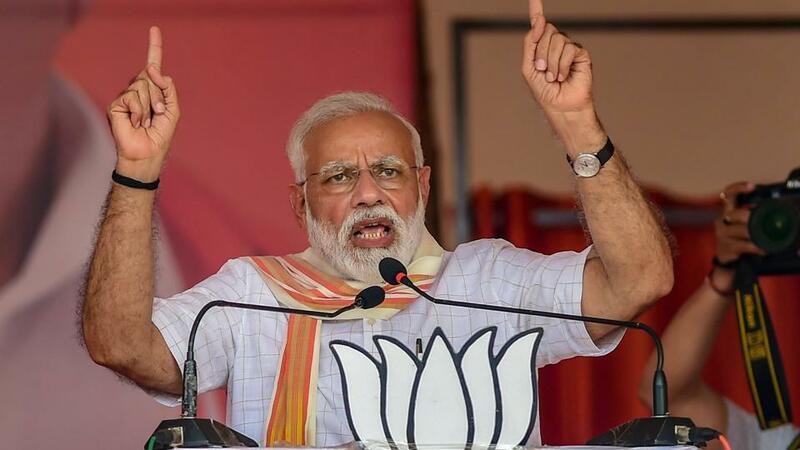 Buniadpur, Apr 20: Prime Minister Narendra Modi on Saturday alleged 'speed breaker Didi' (PM Modi's reference to Mamata Banerjee) will know after May 23 what is the result of the vandalism, looting of money, and stopping the people's growth. 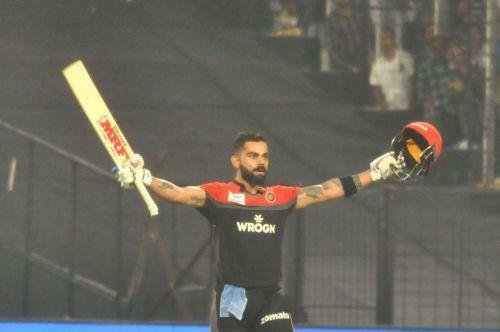 Kolkata, Apr 20: Virat Kohli has said the onus was only on him to bat through the innings in the absence of AB de Villiers and the RCB skipper lived up to the expectations with a 58-ball 100 for his first century of IPL 2019. 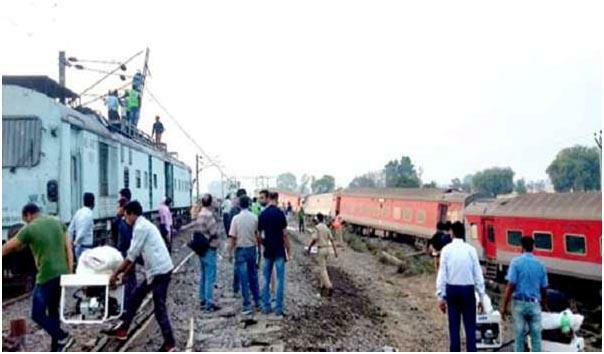 Kanpur, Apr 20: Around 13 passengers were injured when a New Delhi bound 12303 Poorva express derailed near Rooma railway station on Prayagraj-Kanpur-Delhi grand chord section of North Central railway on late Friday night. Altogether 10 bogies of the super fast train derailed in which 4 overturned, UP DG (law and order) Anand Kumar confirmed here on Saturday. 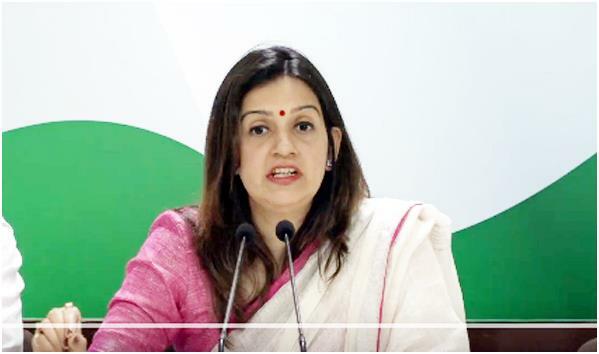 New Delhi, Apr 19 (UNI) A couple of days after she hit out at the Congress for reinstating UP party workers who allegedly misbehaved with her, party leader Priyanka Chaturvedi on Friday quit the Congress. 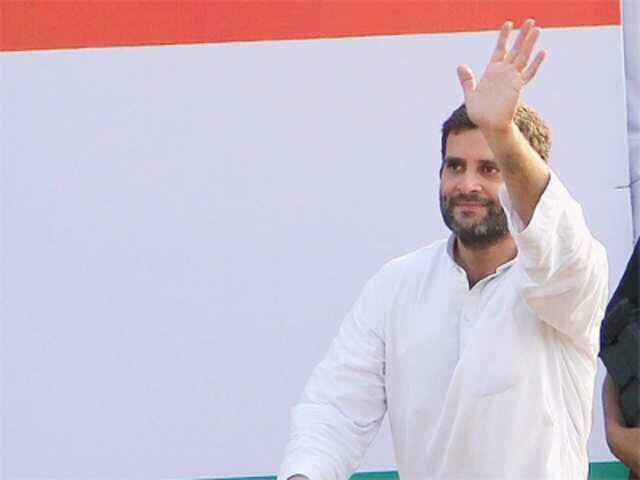 In a letter to party president Rahul Gandhi, Mr Chaturvedi tendered her resignation from all posts and the primary membership of the party. 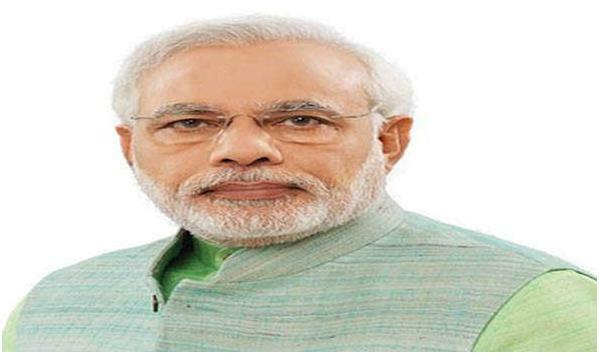 New Delhi, Apr 19 (UNI) Prime Minister Narendra Modi remembered the sacrifice of Lord Jesus Christ, his life, rich ideals and exemplary courage on the occasion of Good Friday. 'Today we remember the sacrifice of Lord Jesus Christ. 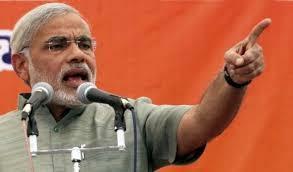 His life, rich ideals and exemplary courage are a source of strength for many,' Mr Modi said in a tweet. 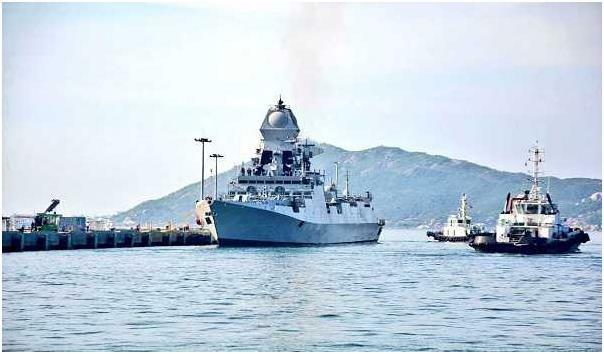 New Delhi, Apr 19 (UNI) Two Indian Navy warship INS Kolkata and INS Shakti will be reaching Qingdao in China on April 21 to participate in the International Fleet Review as part of 70th anniversary celebrations of PLA (Navy). 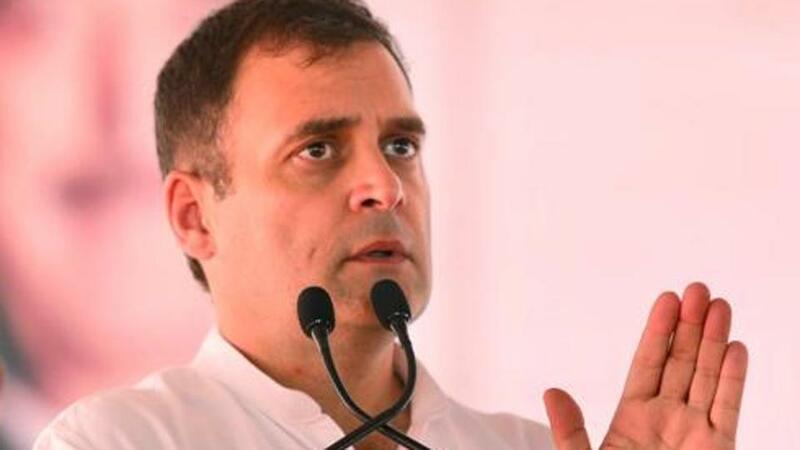 New Delhi, Apr 19 (UNI) On the occasion of Good Friday, Congress president Rahul Gandhi said Jesus Christ dedicated his life to the service of others and showed the path of humanity. 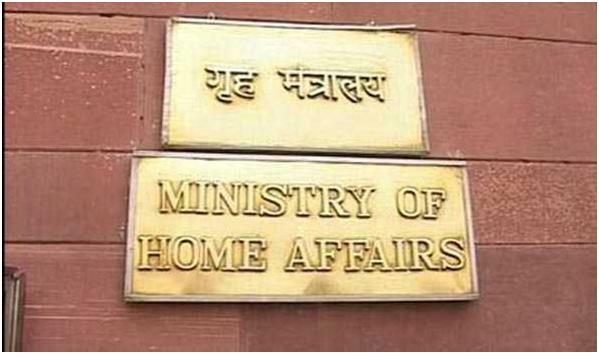 New Delhi, Apr 19 (UNI) The Ministry of Home Affairs (MHA) on Friday denied that it had asked the Assam Government to take action against the Editors opposed to the Citizenship Bill. 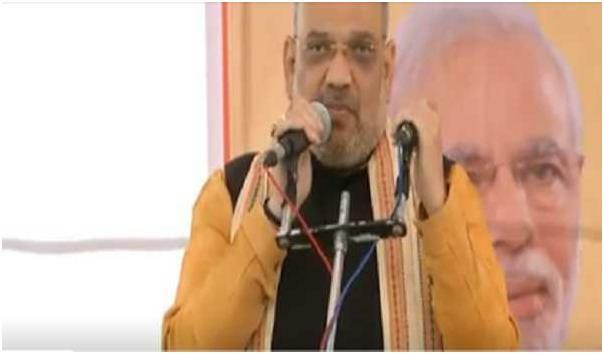 Chhota Udepur/Valsad, Apr 19 (UNI) BJP president Amit Shah on Friday said that the real issue in the ongoing general elections was not development but national security. 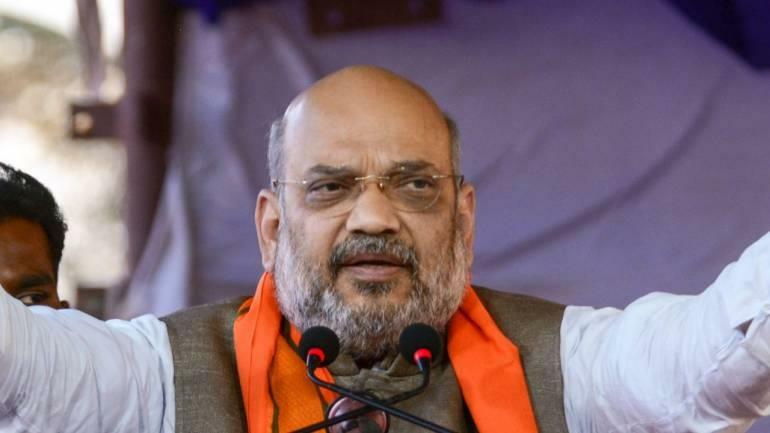 Addressing two election rallies in Bodeli of Chhota Udepur district and Malanpada in Valsad district in his home-state Gujarat, Shah also hit out at Congress and its alleged anti-Gujarati attitude. 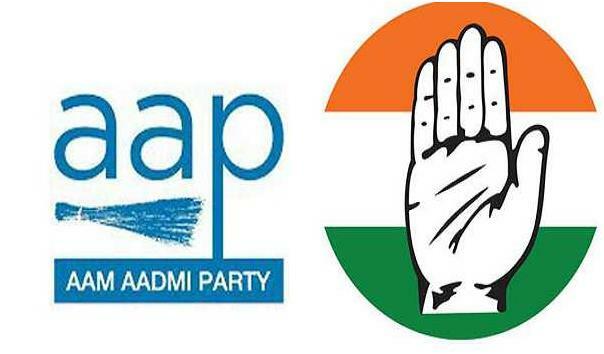 Chandigarh, Apr 19 (UNI) Several leaders and workers from the Aam Aadmi Party (AAP) and its Sukhpal Singh Khaira led splinter group of Punjabi Ekta Party (PEP) in Sangrur Lok Sabha constituency, joined Punjab Congress in the presence of chief minister Capt Amarinder Singh here on Friday. Modi government and expressing their protest against his anti-people policies. 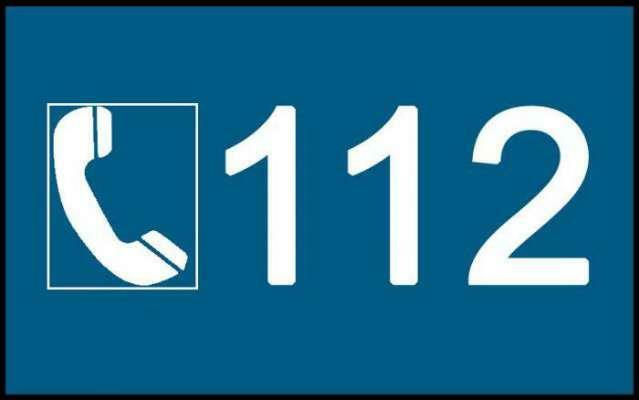 NEW DELHI: Twenty states and Union territories have so far joined a pan-India network of single emergency helpline number ‘112’ on which immediate assistance can be sought by anyone in distress, officials said Friday. 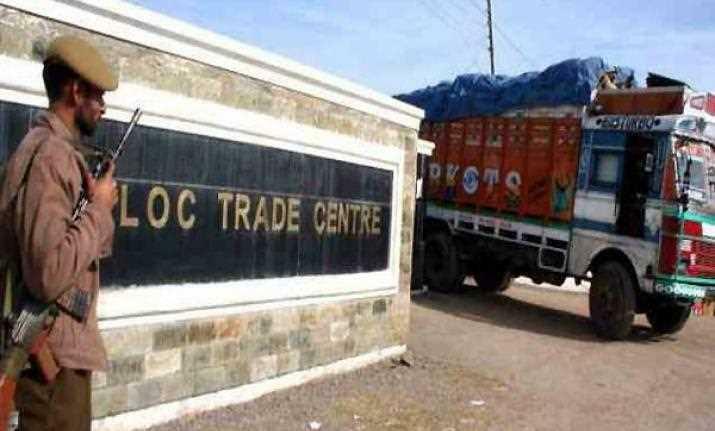 New Delhi, Apr 19: California almonds, known worldwide for their high nutritional value, are being used in cross-LoC trade as a mode to earn profits which are funnelled to terrorists and separatists in Jammu and Kashmir, officials said Friday. 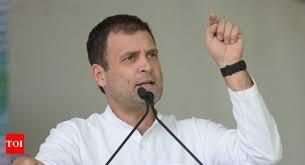 Bajipura (Guj), Apr 19: Congress president Rahul Gandhi Friday said his party's `Nyay' scheme will help in revival of the economy and create jobs in the country which has been badly affected by demonetisation and GST decisions of the Narendra Modi government. 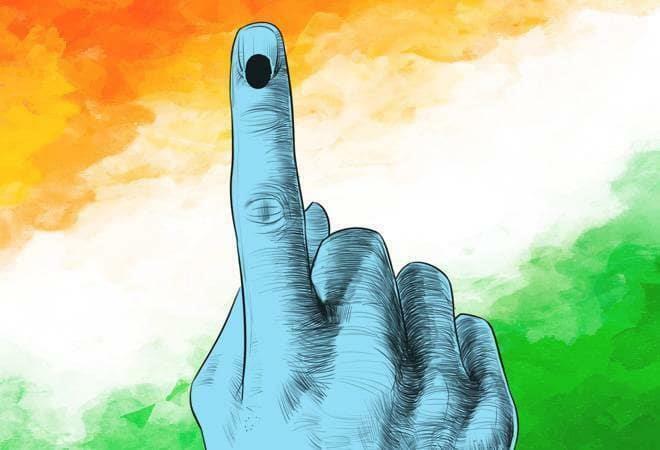 Friday, April 19, 2019Elections 2019: Priyanka Chaturvedi Switches To Sena From Congress. 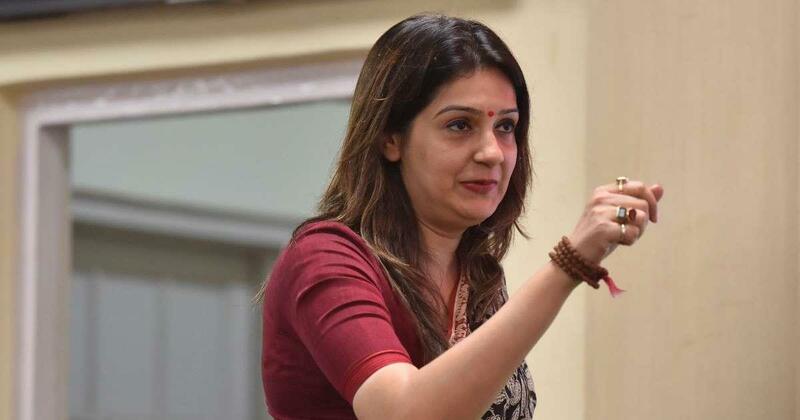 NEW DELHI/MUMBAI: Priyanka Chaturvedi, one of the Congress's most high-profile spokespersons, quit her party of 10 years and joined the Shiv Sena in less than 24 hours. 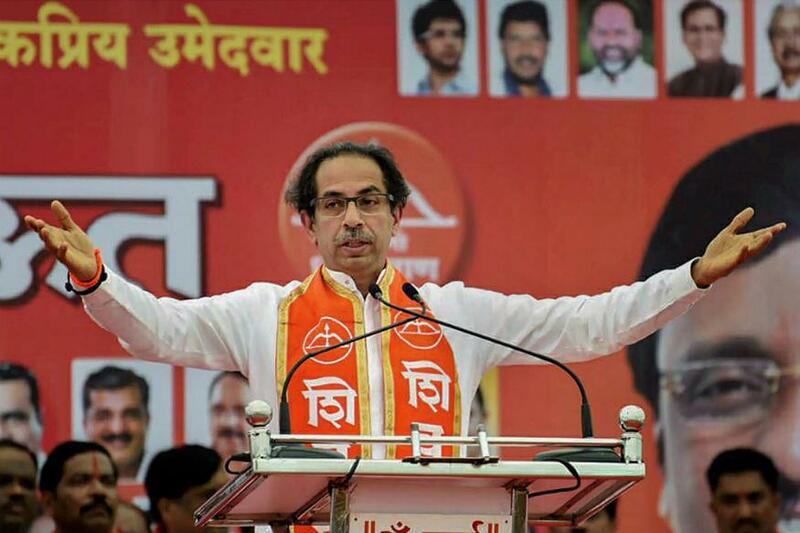 Hours after she tweeted her resignation letter to Congress president Rahul Gandhi, she surfaced alongside Shiv Sena chief Uddhav Thackeray and his son Aditya Thackeray. 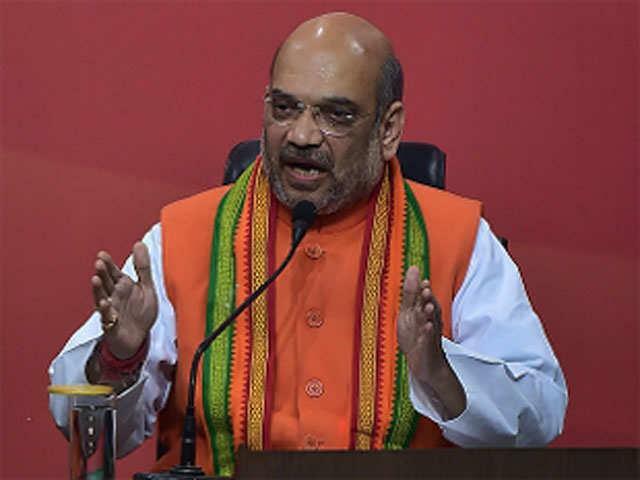 New Delhi, Apr 19: The BJP on Friday took a dig at the SP-BSP grand alliance in the UP, saying a "storm" in support of Prime Minister Narendra Modi in the general election has forced opposition leaders to come together. 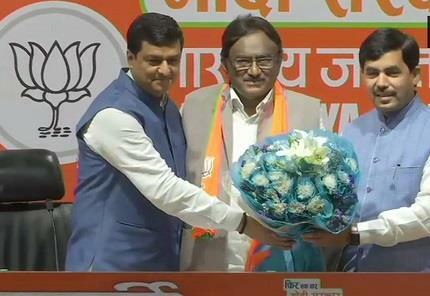 The jibe from BJP spokesperson Shahnawaz Hussain came as BSP supremo Mayawati and SP patriarch Mulayam Singh Yadav shared stage after many years of bitter rivalry. 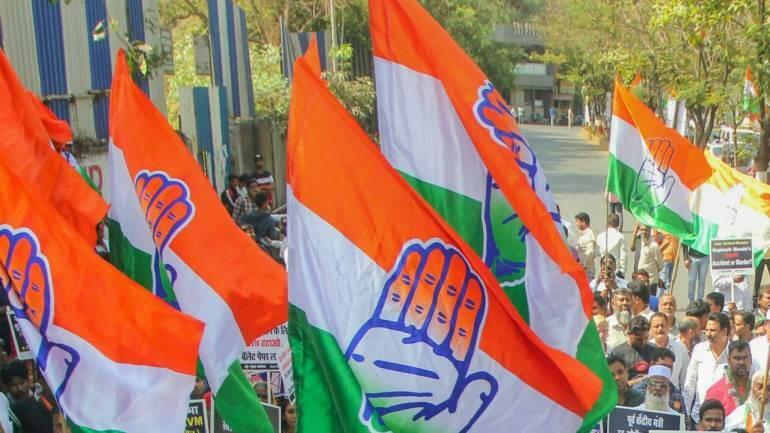 New Delhi, Apr 19: A couple of days after she hit out at the Congress for reinstating UP party workers who allegedly misbehaved with her, party leader Priyanka Chaturvedi on Friday quit the Congress. Shimla, Apr 19: The light rain and hail storm lashed parts of state in last 24 hrs while the sky was partly cloudy on Friday. 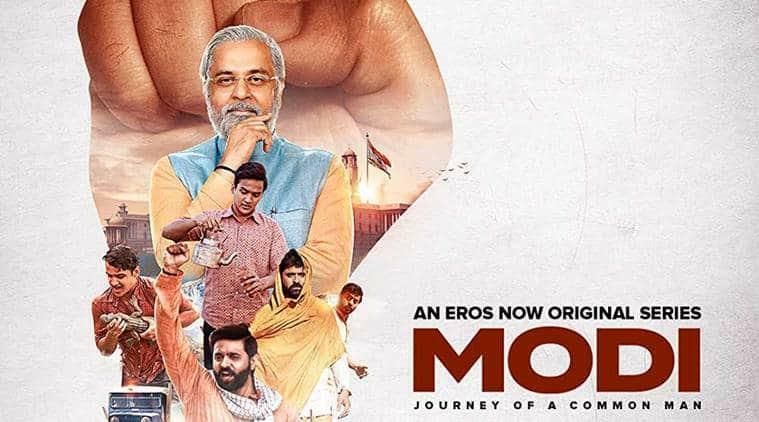 MUMBAI: Actor Urmila Matondkar, who is contesting the Lok Sabha election as a Congress candidate from Mumbai North, Thursday said the biopic made on Prime Minister Narendra Modi was a joke as he has failed to fulfill his promises. 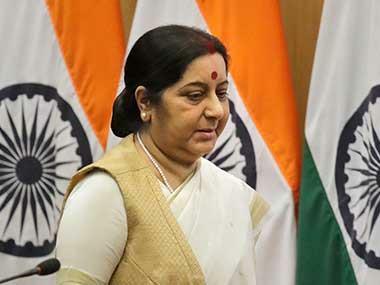 She was talking to reporters at the Mumbai Marathi Patrakar Sangh here. 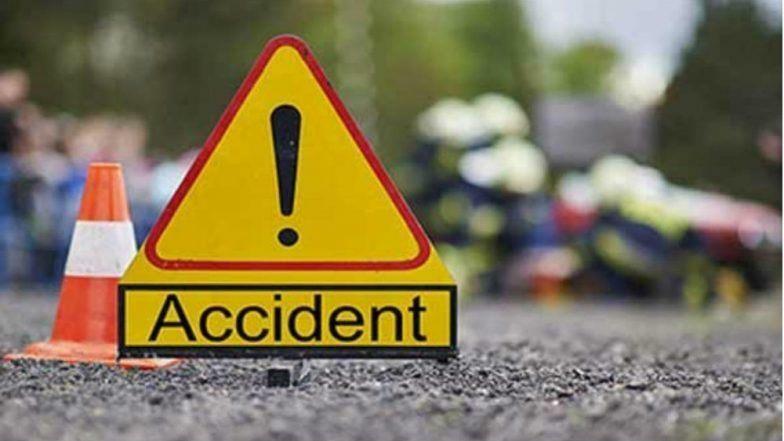 Muzaffarnagar, Apr 19: Four people, including a woman and her two children, were killed in a road accident in the Shahpur area in this district of Uttar Pradesh, police sources said on Friday. According to sources, Sarfaraz, a resident of Nirdhana in the Charthawal area, had gone to attend a wedding ceremony at the Nawla village on Thursday. 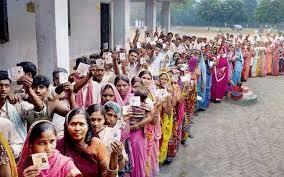 NEW DELHI: With more than two decades of animosity behind them, Samajwadi Party founder Mulayam Singh Yadav and Bahujan Samaj Party (BSP) chief Mayawati will address a joint rally today in Uttar Pradesh's Mainpuri. 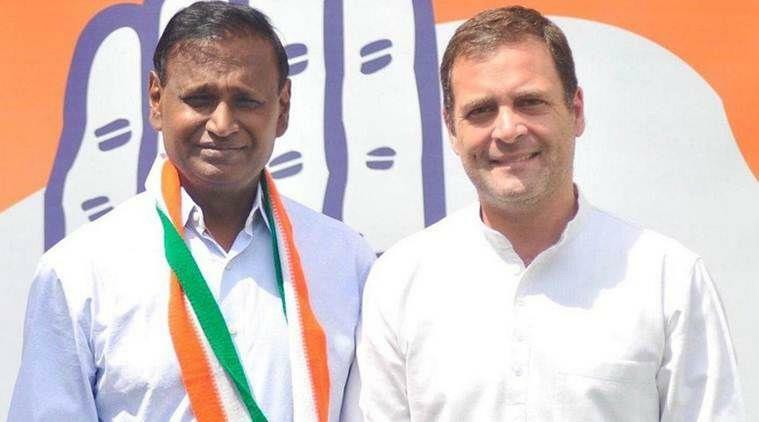 The spectacle of the bitter enemies sharing the stage is really the essence of the opposition gathbandhan (alliance) in Uttar Pradesh to take on the BJP in the national election. 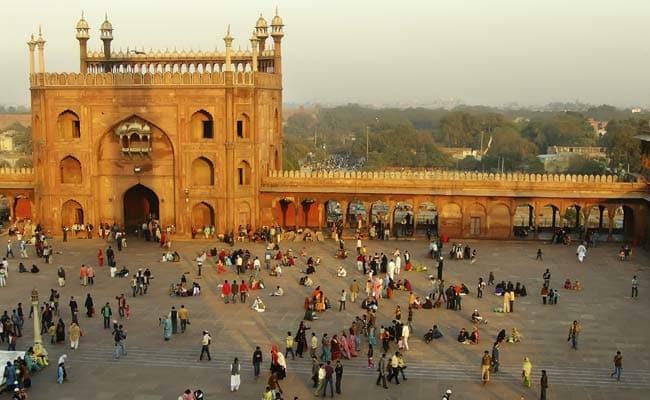 New Delhi, Apr 19: Delhiites woke up to a pleasant Friday morning, with the minimum temperature settling at a comfortable 18.2 degrees Celsius, four notches below the season's average. 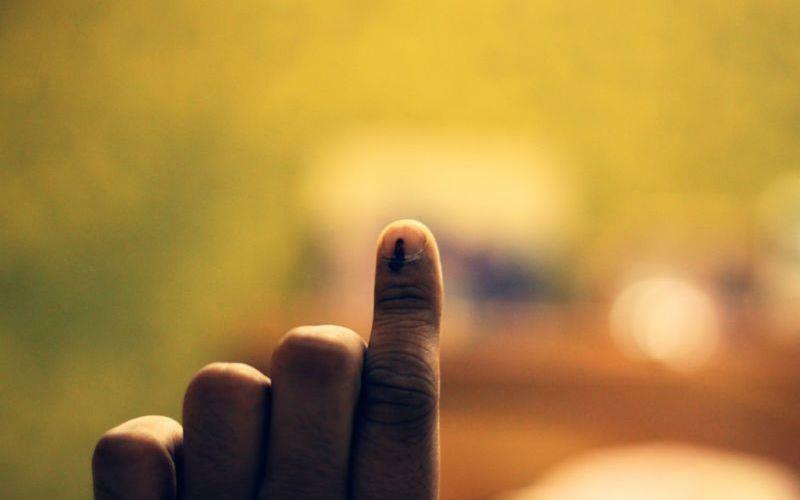 Humidity was recorded at 70 per cent at 8.30 AM, said a Met Department official. The Met office has forecast mainly clear skies for the day ahead. 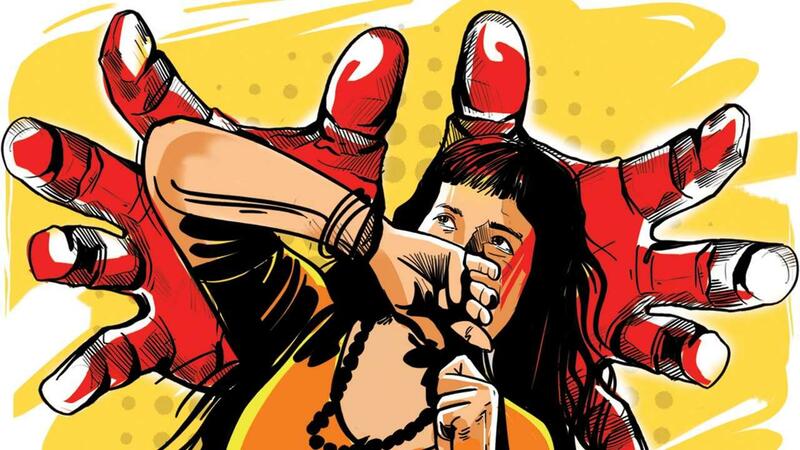 Muzaffarnagar, April 19: A 22-year-old woman was allegedly abducted and raped by three youths on the pretext of giving her lift in neighbouring Shamli district, police said. 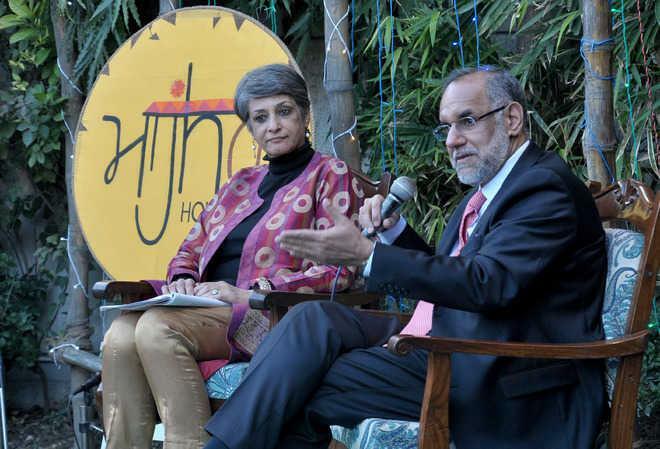 Dubai, Apr 19: India's Ambassador to the UAE Navdeep Singh Suri has commended the launch of a book containing english translation of the Punjabi poem, Khooni Vaisakhi, saying the100-year old classic ballad about the Jallianwala Bagh massacre is now reaching a global audience. 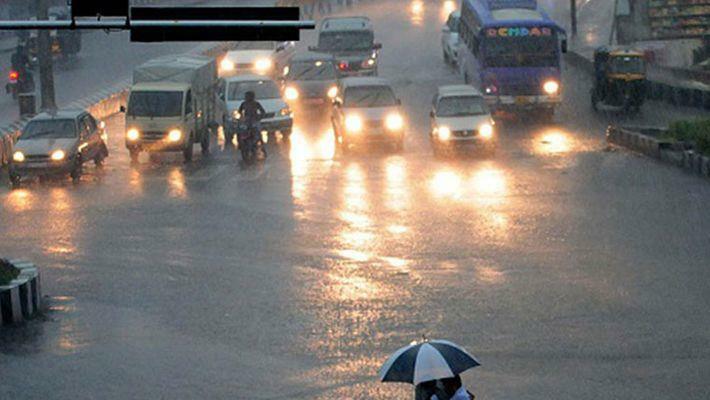 Thiruvananthapuram, Apr 19: Meteorological Department here has warned heavy rainfall (7-11 CM) is very likely to occur at one or two places in Kerala on Friday. 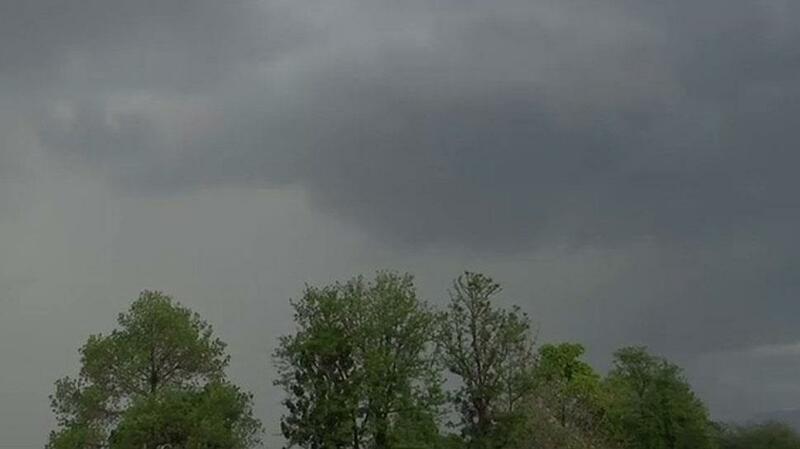 Thunderstorm accompanied with gusty winds (wind speed reaching 40-50 kmph) and lightning at isolated places is very likely in the state today and Saturday, sources in Met said.